Sheridan has been around for 50 years, so we decided to come up with 50 ways you can green-up your work life and reduce your office waste line. Each week for 50 weeks, the Office for Sustainability and Green Teams will be challenging you to take a green action in one of the following 10 categories: eating, drinking, cleaning, meeting, computing, ordering, leaving, commuting, being, and knowing. The challenges will progress through each category for five cycles. So there will be five different ways in each category for you to act on. As we announce a new challenge each week, a new leaf will come out in this Sheridan sustainability tree below. There are five writers who create content for each post. 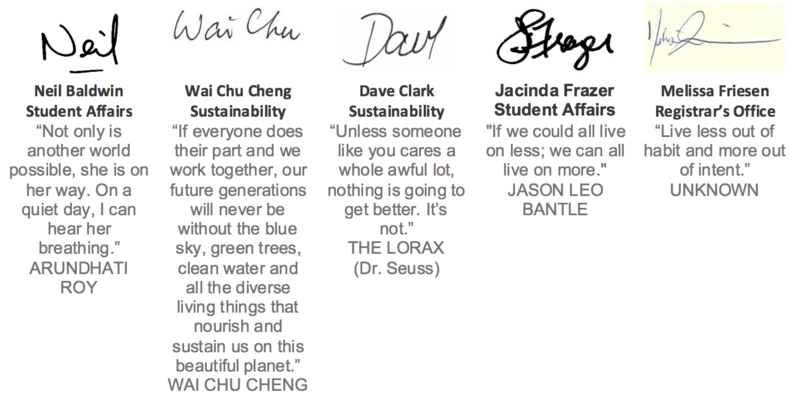 They are Jacinda Frazer, Neil Baldwin, Melissa Friesen, Dave Clark and Wai Chu Cheng. We hope you will take on these challenges and help Sheridan move towards Mission Zero. Stay tuned for a new Challenge every week! Welcome to Week One of the 50 Ways to Reduce Your Waste Line. 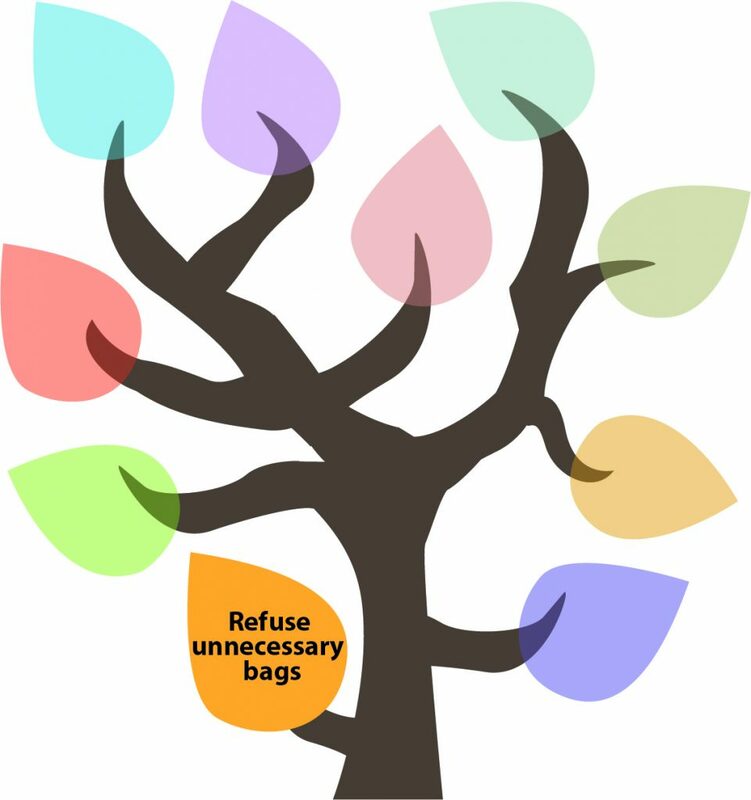 In this week, we invite you to consider refusing bags and any excessive packaging and condiments when taking out food. When you order your takeout lunch at the Cafeteria or restaurant, one thing you can do is specify to your server that there is no need to provide the takeout bag. As well, you can pick up only the condiment items you will need. For example, at Subway Sandwiches, do you really need an additional bag when your sandwich is already neatly wrapped in the sandwich paper? As well, ask yourself do you really need all the condiments? Remember condiments come in packages. If you don’t need the condiment, you are saving one package from being disposed into the landfill site. According to a new cradle to grave study, we are becoming a “plastic planet”. Around 9.1 billion tons of plastics have been produced since 1950. All kinds of plastics are found everywhere. They are used for packaging from plastic bottles and consumer goods to construction materials and everyday clothing. The problem is that plastics do not break down easily and the majority of the materials end up as waste in landfills and litter on land and in oceans, lakes and rivers. What is alarming is that scientists found plastics in the body of marine animals, including planktons. Planktons are small microscopic organisms feeding many other animals above them in the food chain. In the Scientist video above, you can see that a plankton is eating plastic. This shows one of the key dangers of plastic litter in the environment. Decline a double cup when ordering hot drinks; avoid sleeves, lids, or straws unless necessary. Welcome to Week Two of the 50 Ways to Reduce Your Waste Line. Last week, we talked about refusing bags and any excessive packaging and condiments when purchasing food. This week, we invite you to say “No” to double cups, sleeves, lids, and straws when possible. Make/purchase your own mug cozy! If you want to reduce your “waste line” but a single cup of your morning Joe burns your hand, consider making or purchasing your own reusable fabric mug cozy. You can find adorable ones online, make one yourself, or ask a crafty friend to sew or knit you a one-of-a-kind masterpiece. You can also purchase a silicone re-usable lid or stainless steel straw if these are must-haves for you! If you are up for the challenge of making your own cozy, the video above below provides a fun, eco-friendly, no-sew tutorial. Did you know that the disposable paper cup is embedded with plastic lining which helps insulate the cup but makes it non-recyclable at the same time? 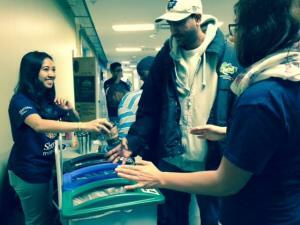 As part of Sheridan’s Zero Waste initiative, Sheridan is diverting the paper cup from landfills. 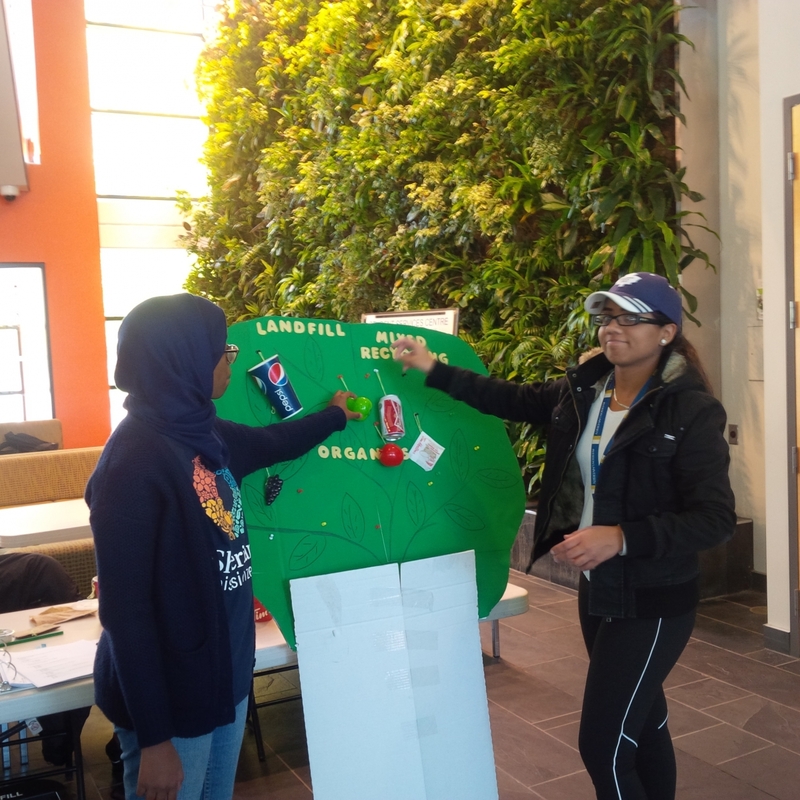 At the Zero Waste station, the paper cup goes to the Green bin (“Organics” bin), the plastic lid and the cup sleeve go to the Blue bin (“Mixed Recycling” bin). However, when the lid and the sleeve are not separated from the cup, they become contaminants in each of the three bins. According to our 2016 Waste Audit, the paper cup with lid/sleeve were among the top contaminants in the Green and Blue bins. Specifically, they contributed to 2.8% (or 3,366 kg annually) of contaminants in the Green bin, and 3.1% (or 5,900 kg annually) of contaminants in the Blue bin. 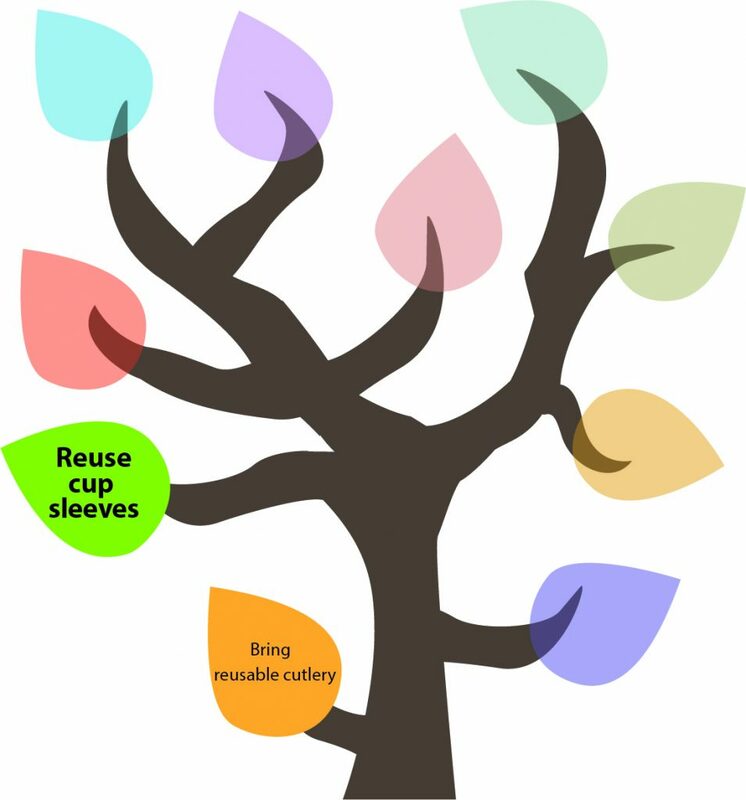 You can help reduce contamination of the Zero Waste station by creating your own re-usable cup sleeve! Think before you discard anything — Can you reuse or re-purpose it? Welcome to Week 3 of the 50 Ways to Reduce Your Waste Line. Last week, we talked about saying “No” to double cups, sleeves, lids, and straws when possible. This week, we invite you to think before you discard anything — Can you reuse or re-purpose it? Reuse plastic bags. Plastic bags are typically offered after a purchase is made, so keep a bunch nearby when shopping, in your purse, car, knapsack, etc. so it will be easily accessible for you to reuse. This will also allow you to decline receipt of more bags. 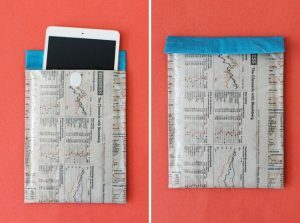 There are many other ways to reuse plastic bags. For example, you can use them to cover plants from frost, use as extra padding when packing or use as gloves to cover your hands. See the following website for 60+ ways to reuse plastic bags. Canadians use 9 to 15 billion plastic bags a year, which is enough to circle the Earth more than 55 times, according to the Greener Footprints website. 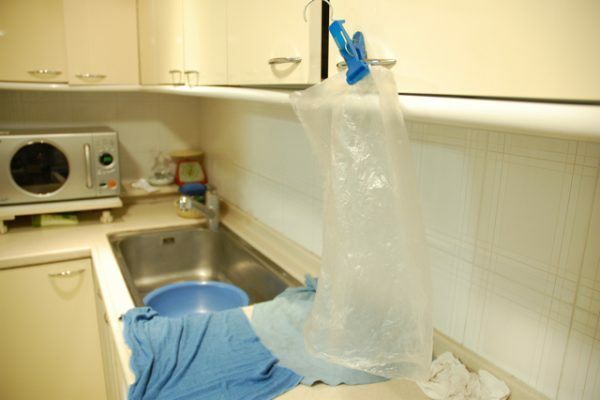 Plastic bags can be placed in your recycling bin in some municipalities, however they are not biodegradable. So what happens to the bags when they are recycled? They are taken to a recycling centre and are melted down to create new batches of plastic bags. This process is much more efficient than making the bags from scratch and gentler on the environment. So reuse your plastic bag, wash it regularly and recycle it when it cannot be used any longer! Instead of printing copies of documents to bring to a meeting, use electronic copies or simply share with a colleague. Welcome to Week 4 of the 50 Ways to Reduce Your Waste Line. Last week, we asked you to think of ways to reuse or repurpose an item before discarding it. This week, as we continue our journey through 10 different themes (10 categories x 5 successively greener challenges = 50 Ways), we look at more sustainable ways to have work meetings. As an attendee, bring soft copies of documents, not printed copies, or share with a colleague. Microsoft Office documents (Word, Excel, Publisher, etc.) and Acrobat Reader PDFs can all be easily viewed on your computer or tablet, and those applications also have features to make “on the side” notes. So plan ahead to have access to electronic versions, whether logging in to your Sheridan account on your computer/device, putting them on a USB key, or simply email the documents to yourself and let the meeting organizer know you will not need a printed version. If you cannot do without a paper copy perhaps arrange in advance to share with a colleague or two! Every sheet not printed makes a difference — see below! 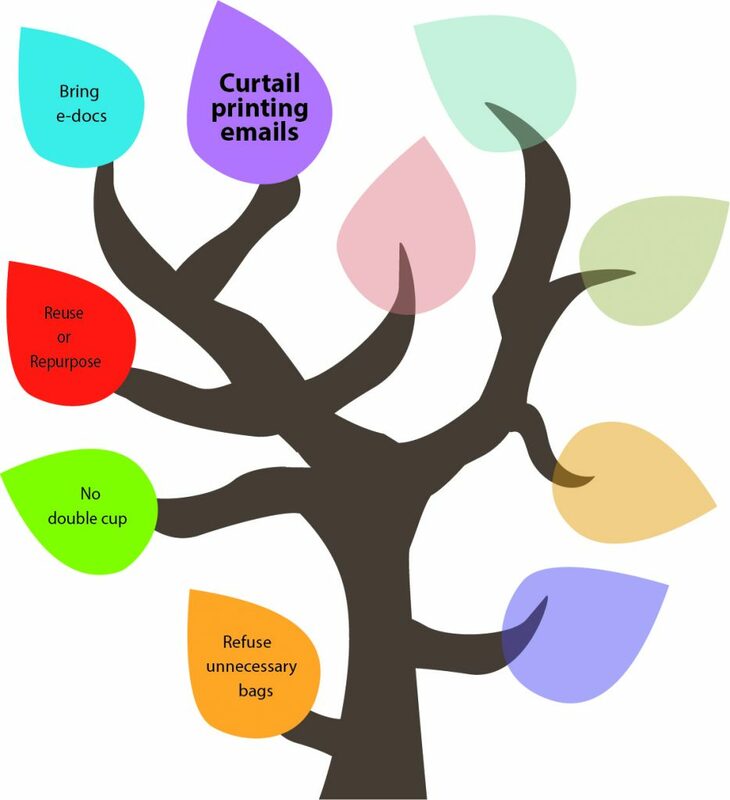 We often joke about “killing some trees” when we print documents, but since most printer paper has a high percentage of recycled content, the trees may be the least of our worries. When you create paper versions of temporary/working documents, or documents there is no reason to retain in print form, think beyond trees. 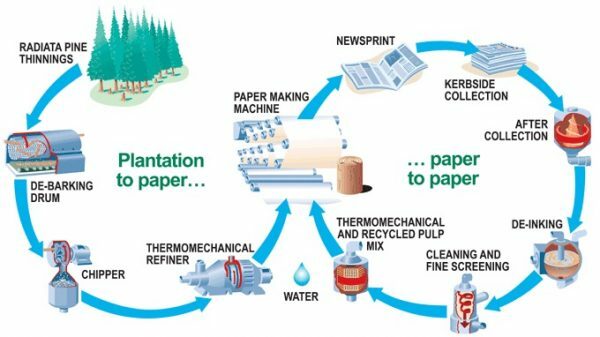 Think about the energy and resources used to create the paper, to package it, to market it, to ship raw materials to the factory, and finished paper from factory to wholesaler to retailer to Sheridan. Think about the energy used by the printer and about the little piece of carbon footprint with each use (every print job reduces a small portion of the printer’s life cycle). Think about the chemicals (toner) introduced into the world with each page you print. Think about the energy, and more chemicals, that will be used to reprocess your document when you discard it into recycling within hours or days of the meeting, and that paper is mostly “down-cycled” to gradually lesser grades. 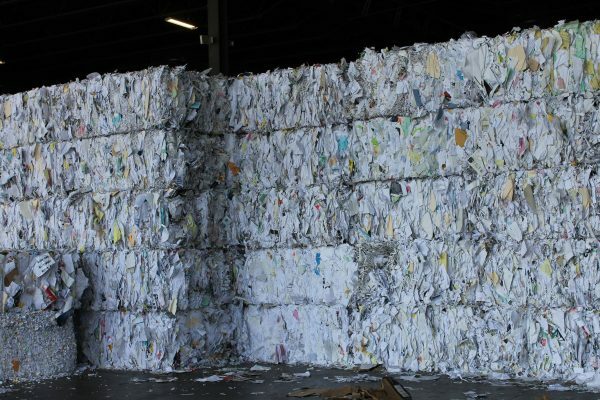 Learn more about how paper is recycled. Recycling is better than landfill. Re-using is preferable to recycling. But not creating the object in the first place (Reducing – the other “R”) is even better. You have the power to choose not to bring additional things (paper, chemicals, packaging, etc.) into the world and to reduce *your* carbon footprint in the process. Log in to Sheridan’s Papercut account via Access Sheridan (under Software Installation in Sheridan Resources) to see the breakdown of resources used by your print jobs. You may be surprised by the amount of carbon being used. Save paper by limiting yourself from printing out emails. Consider including a do-not-print “it’s green on the screen” tag in your signature block. Welcome to Week 5 of the 50 Ways to Reduce Your Waste Line. Last week, we asked you to think of ways to use electronic copies of documents when attending meetings instead of printing out physical copies. This week, we look at ways to keep your electronic-mails (a.k.a emails) just that… electronic! Many people are already used to reading emails on the screen rather than on hard copies. You can encourage other people to have this green practice by including a “Think Green, Leave it on the Screen!” (or similar) footnote to your email signature. The goal is to reduce the number of printed emails and attachments not only at Sheridan, but at ALL offices with which we, as an Institution, communicate on a daily basis. Some emails between certain individuals necessitate the creation of a “paper trail”. With today’s technology, that trail doesn’t NEED to be made of paper. In fact, it is just as easy to create digital copies to eliminate the paper waste entirely! Consider exporting the email in question to a PDF file, and then storing it to a Sheridan network or SharePoint drive (or Dropbox, or Google Drive, or OneDrive, or… or… or…). Accessible to whoever you choose, this drive or online folder can replace the traditional binder of old, shedding all of the paper waste that goes along with it… which, if we are being honest, might get read once before it gets shredded 5 years from now anyway! If you need a signature on an official document, then make some inquiries to see if a digital signature would suffice. This is a feature available in Adobe Acrobat, and only takes a few minutes to set up. Should you have any questions on how to do any of the above, a simple internet search should find the answers you need, or if all else fails, contact the Sheridan College Service Desk at ext. 2150, or servicedesk@sheridancollege.ca. Again, the same as last week, log in to Sheridan’s Papercut account via Access Sheridan (under Software Installation in Sheridan Resources) to see the breakdown of resources used by your print jobs. 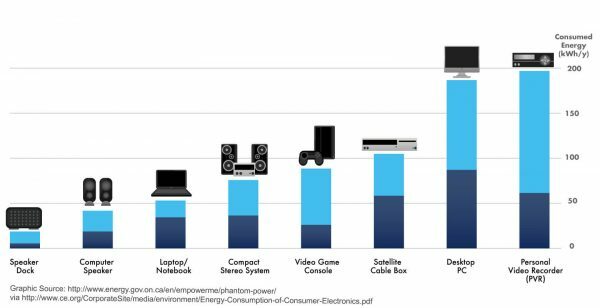 You may be surprised by the amount of carbon being used! Before ordering office supplies, check if they exist elsewhere in your department. Welcome to Week 6 of the 50 Ways to Reduce Your Waste Line. Last week, we asked you to save paper by avoiding to print out emails and reminding others to do the same. This week, we look at ways to reduce the need to order office supplies. Before ordering supplies, it is a good idea to check if they exist elsewhere in your department. Find out if there is any shared space that your department is using to keep supplies. If such a space does not exist, take the initiative to set up one with your colleagues and keep it organized and accessible to everyone in your department. This shared storage space can be a drawer or a cabinet. 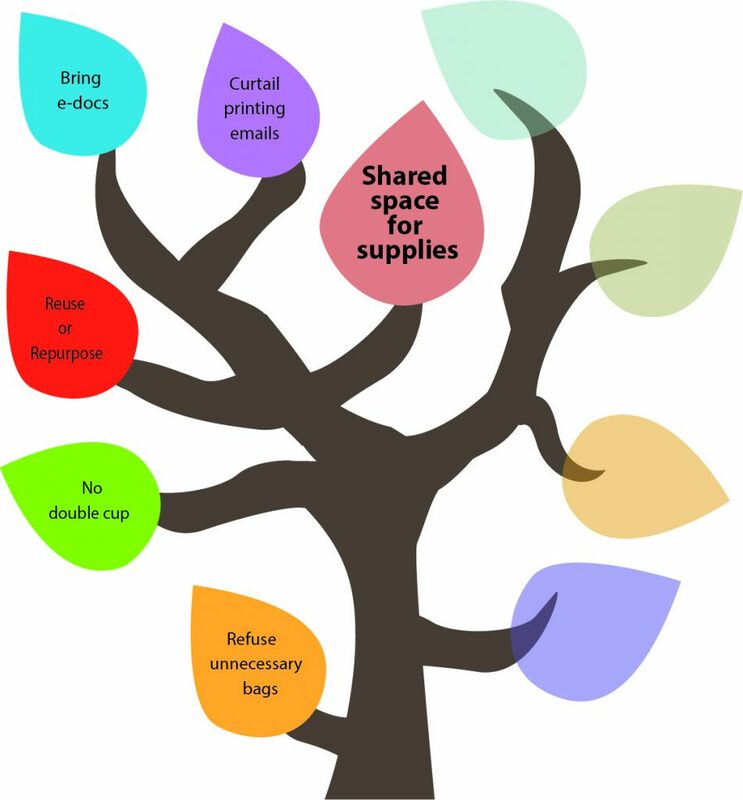 When someone is cleaning up their office, any reusable items that are still in good conditions can go to this shared space. A variety of items, such as document binders, pen holders and push pins should be reused to maximize their full life span. 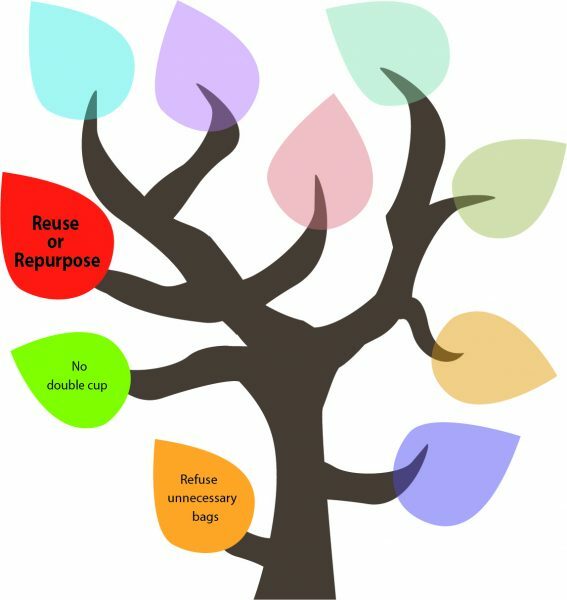 Useful Resource: How to Sort Office Waste for Reuse? By being prudent in ordering supplies, there will be fewer things to sort or dispose of when you need to clean up your office. This poster below has been created to help people to sort their waste when they need to move or clean up their office. 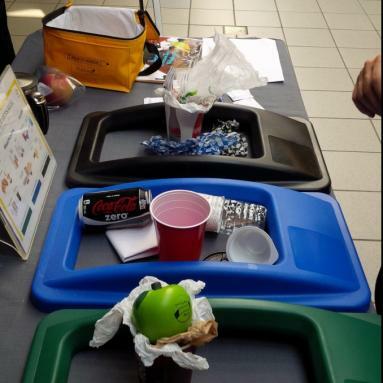 It shows some good examples of reusable and recyclable items. Make a point to turn off unnecessary lighting and follow a “last person out turns out the lights” policy. Welcome to Week 7 of the 50 Ways to Reduce Your Waste Line. Last week, we asked you to think of ways to check and see if the office supplies you require exist elsewhere in your department. This week, we look at ways to reduce our electricity consumption by adopting a lights out culture when leaving communal workspaces for the day. Sheridan is well underway with the various Integrated Energy and Climate Master Plan-related energy retrofits across its three campuses. The most visibly noticeable of these are the various lighting systems across Sheridan’s labs, offices, classrooms and communal spaces. 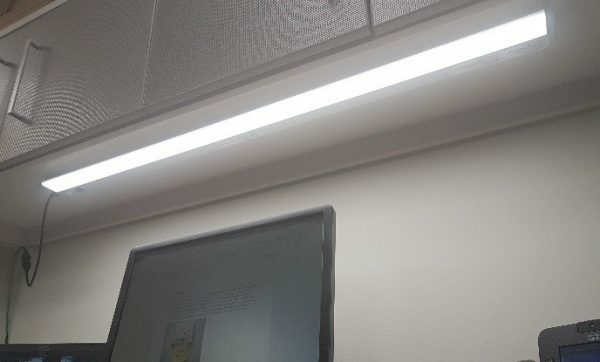 While these new fixtures and related controls/occupancy sensors have drastically reduced the energy consumed by lighting systems on campus, even more savings can be realized by adopting a “last person out gets the lights” culture. If you happen to be the last person to leave your specific workspace at the end of the day, take a minute to look around and observe any lights that might have been left on by mistake. Examples of this would include goose-neck desk lights, or desk-integrated task lighting, such as this one on the left. These lights are usually controlled by a simple on/off switch, and if left in the “On” position, will act as a welcoming beacon for those that arrive the next morning… wasting electricity in the process! For more information on how to use the new lighting controls in each of the spaces above, see the Mission Zero Lighting Controls page. 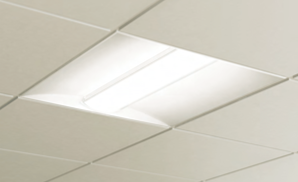 LEDs have a general life expectancy of 50,000 hrs. If used for 10 hrs/day, this equates to a total usable lifespan of 13.7 years! Perhaps they are worth the few extra dollars after all! In multi-car households, use the more energy efficient vehicle to commute. Welcome to Week 8 of 50 Ways to Reduce Your Waste Line. 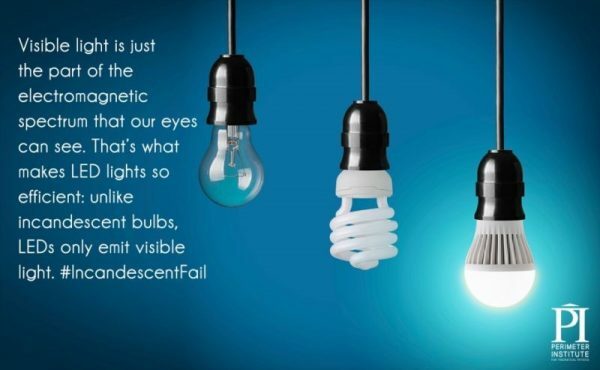 Last week we talked about turning off lights when you leave the office. This week, we invite you to take a critical look at the vehicles your household utilizes and choose the more energy efficient vehicle to commute the farther distance. If you are part of a multi-car household, the driver who has the longer trip can take the more efficient vehicle to reduce emissions. Natural Resources Canada has a great list of the most fuel efficient vehicles which can help you make this distinction; in general, the smaller the vehicle, the more efficient it will be. Driving the more efficient car the longer distance will help reduce your family’s carbon emissions and reduce pollution. You can help reduce vehicle pollution by using your household’s more energy efficient vehicle for your daily trek to work! Take a break out of your day to reflect and you will be surprised how this can help you clear your mind and become more aware of your consumption needs. Welcome to Week 9 of the 50 Ways to Reduce Your Waste Line. Last week, we invited you to choose the more energy efficient vehicle to commute to farther distances. This week we ask you to consider the practice of mindful consumption. It seems we’re always in a rush to get our destinations. Whether it’s navigating the gridlock of rush hour or running late to a meeting, we anxiously scurry around to complete one task and then quickly move on to the next. We subconsciously meet the demands of our daily routines without taking a moment to reflect and contemplate the impact of our actions on our self, community and environment. Studies have shown that taking a few minutes out of our day to clear the mind can improve our quality of life. Taking a reflective break helps to cultivate a sense of calm and centeredness. These acts of mindfulness often encourage increased creativity, insight and personal responsibility. Furthermore, individuals who are considerate towards self, society and nature, will also carefully attend to how their consumption needs affect others and their environment. 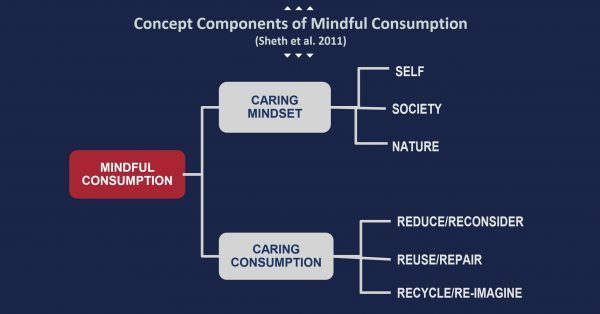 Dr. Sabrina Helm, Retailing and Consumer Sciences professor at the University of Arizona, describes “mindful consumption” as the practice of the consumer in adopting flexible options and novel approaches in the purchase, usage and disposal of goods which reduce his/her overall consumption. Here are a few more ways to create more space for mindfulness in our day. Try arriving early to work or school so we can take a longer route. This creates an opportunity to be present in the moment and build exercise into our daily schedule. If we drive to work, we could opt to park in a spot further away in order to appreciate time and receive some fresh air. We will also likely save time by not circling continuously around the parking lot searching for a nearby spot. If we take the bus, we could get off one stop before our destination and take a different path to our destination while burning some extra calories. We can take a short walk during our lunch or strategically plan to access a washroom that is further away to change the scenery and get a fresh perspective. So why not give it a try! Set a goal to intentionally schedule more physical-mental breaks during your daily routine and monitor how this practice impacts your waste footprint on earth. Tip: To increase the likelihood of fulfilling this goal, partner with a colleague or friend and share how mindfulness has affected each of your consumption behaviours. To learn more about being present and improve life with mindfulness, please visit the website here. Welcome to Week 10 of the 50 Ways to Reduce Your Waste Line. Last week, we invited you to consider the practice of mindful consumption. 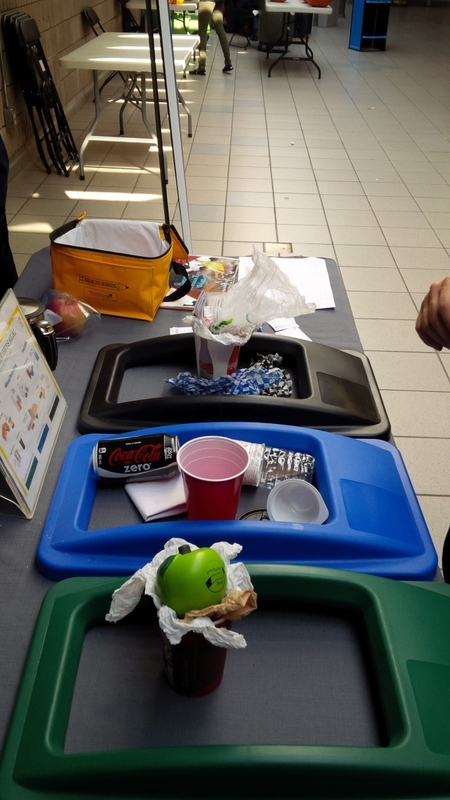 This week, we ask you to learn about what goes in which of the three Zero Waste sorting bins at Sheridan. 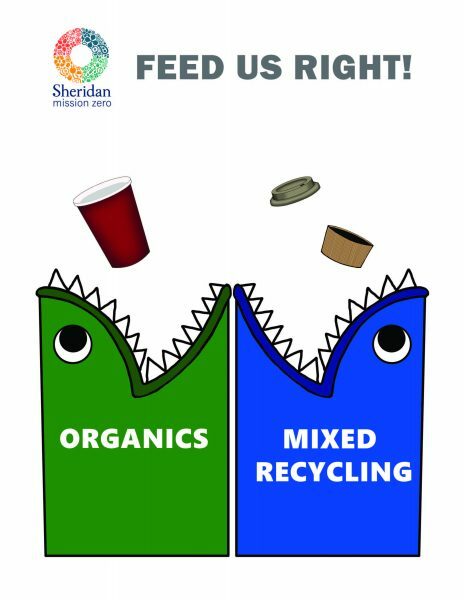 As part of our unique Zero Waste program, Sheridan is collecting organic waste and paper coffee cups in the Green bin, which is available in hallways and office areas across all three campuses. In every Zero Waste station, the three bins are set up side by side, from left to right: Green bin for Organic waste and paper coffee cups, Blue bin for Mixed Recycling waste, and Black bin for Landfill waste. 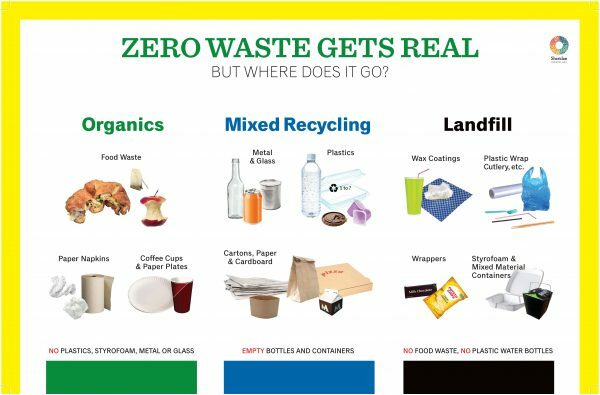 To help Sheridan reduce the waste that is sent to landfills, one thing you can do is to take a closer look at the “Zero Waste Gets Real – What Goes Where” poster below. It indicates what goes into each of the three bins at each Zero Waste station. If you look carefully at the types of waste in each waste stream, you may find that they vary slightly from the acceptable items that go into your waste bins at home. Useful Resource: What Goes Where? To learn more about what goes in each of the three bins at the Zero Waste station, you can also do a quick search at the Mission Zero website. Some frequently asked questions are available on this page as well. 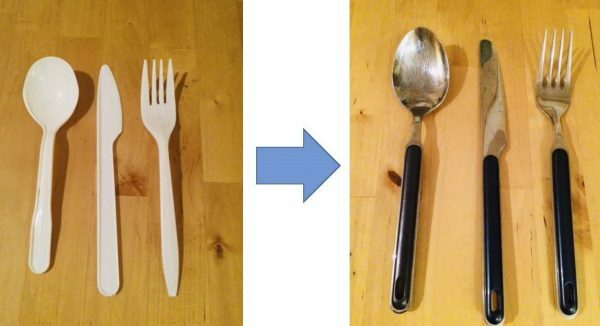 Bring reusable cutlery for your take-away food. Welcome to Week 11 of the 50 Ways to Reduce Your Waste Line. 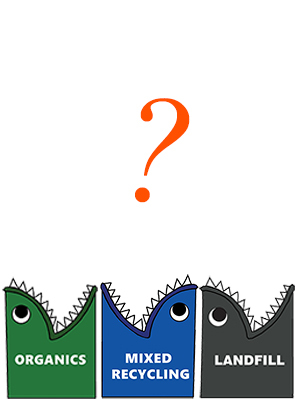 Last week, we invite you to learn what goes in which of our three Zero Waste sorting bins. This week, we are going back to eating, the first of the 10 themes (10 categories x 5 successively greener challenges = 50 Ways). 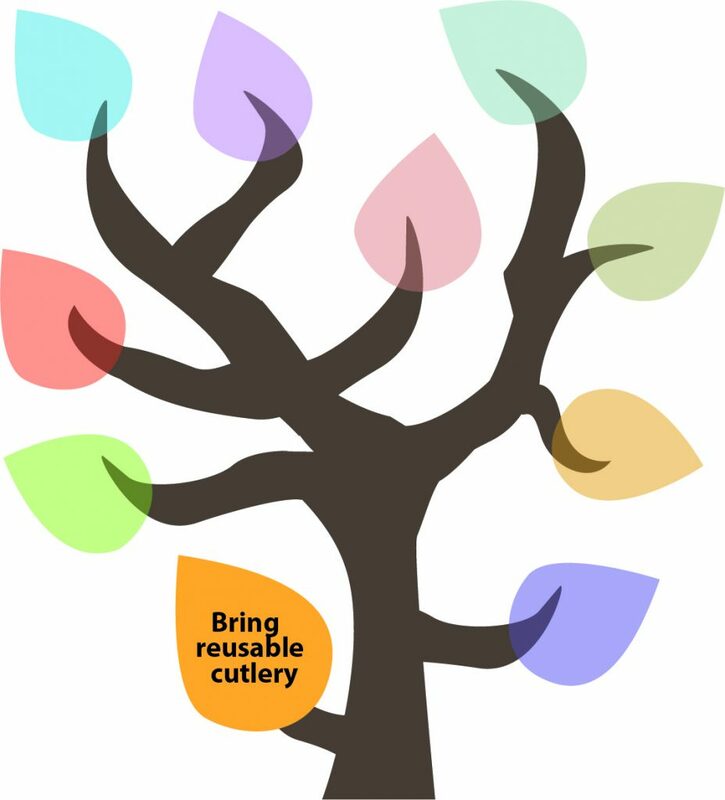 We invite you to bring reusable cutlery and napkins for your take-away food. One of the biggest challenges we are dealing with is the huge amount of plastic waste in our oceans. The plastic pollution is causing a high level of health risk to marine animals and potentially humans as mentioned in a previous post in September. We can address the plastic waste problem by reducing the use of packaging as it is mostly made of plastic materials. There are different initiatives in a number of developed countries addressing the plastic waste problem. France has banned the use of plastic cutlery, cups and plates. On a personal level, you can help by using your own cutlery when having take-away food. Your food would likely taste better with your green practice. Plastic cutlery is not recyclable. It goes to the Landfill (Black) bin at the Zero Waste station at Sheridan. 32% of the 78 million tons of plastic packaging produced annually is left to flow into our oceans; the equivalent of pouring one garbage truck of plastic into the ocean every minute. only 14% of global plastic packaging is collected for recycling and only 2% is reused as packaging. In total, $80-$120 billion of value is lost annually. For more information, you can read the report The New Plastic Economy by World Economic Forum and the Throwaway Culture article by the UK Guardian. Save and reuse cup trays and sleeves. Welcome to Week 12 of the 50 Ways to Reduce Your Waste Line. Last week, we invited you to use your own cutlery for take-away food. This week, we are going back to drinking, the second of the 10 themes (10 categories x 5 successively greener challenges = 50 Ways), and we ask you to save and reuse cup trays and sleeves. If you are one of those everyday heroes who picks up the coffee order for your office/buddies/family we are so SO thankful for your efforts! One way that you can reduce the waste caused by these coffee runs is by keeping and reusing the cup trays for each of your trips. You can even decorate or personalize your tray and share a bit of personality! And when you have to throw them out in the end, cup trays should go to the Green bin and the cup sleeves go to the Blue bin. Additionally, if you like a sleeve with your drink, you can make one of our DIY cozies from last month or hang onto the cardboard sleeve provided with the drink and use it over and over again! 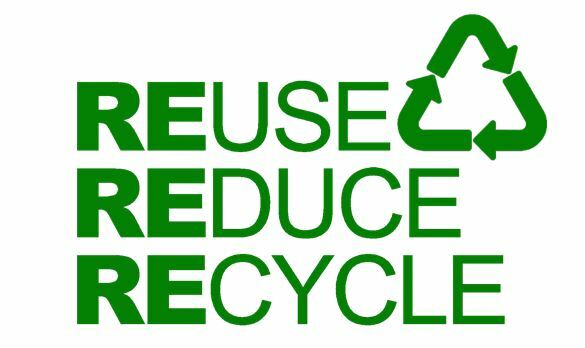 We talk a lot about recycling and the environmental benefits of recycling over throwing items in the trash but often forget about the first 2R’s – reduce and reuse. If we consume less new product we stop pollution and environmental damage before it starts. The David Suzuki Foundation has an article on their website called “Five ways to recycle less” which provides some easy ideas for avoiding the necessity of waste management. Consider using cloth or scrap rags instead of paper towels. Welcome to Week 13 of the 50 Ways to Reduce Your Waste Line. Last week, we invited you to save and reuse cup trays and sleeves. This week we ask you to consider using reusable cloth or scrap rags instead of paper towels. Paper towels, napkins, serviettes are widely available whenever you purchase food at a restaurant or fast food shop, access a washroom at a store, or visit a healthcare facility. In an auto-pilot mode, we are quick to grab a bunch of serviettes at a time, perhaps only use one or two pieces of them, then leave the rest behind or throw them out. What are the costs for these random acts? Are paper towels easy to recycle? Let’s take a closer look. To start, purchasing paper towels, napkins, etc. can add up. For example, six rolls of recycled paper towels per month could cost $140 per year or $700 in five years while using cloth could last you five years for about $20 to $100. You may say that the paper towels and napkins are available for customers to pick up for free. But the restaurant and store owners have most likely included the costs of these items as part of the hidden costs in providing their services and products. In addition to the cost concern, tissue products largely come from our ancient forests, such as the boreal forest. According to Green Peace Shoppers’ Guide, Canadians use over 700,000 tonnes of these disposable products each year, with the average Canadian using approx. 22 kg per year. While using 100% recycled paper products can help to lessen the impact to our environment, why not consider using cloth or rags instead? Keep some scrap towels wherever it is convenient and accessible, i.e. on hand at work, in your car, in the kitchen, in your bag or coat pocket. You can use various sizes of rags for cleaning around the house, wiping hands and for those occasional spills. Once they are soiled, just throw them in with your weekly wash. And remember washing on cold setting is equally effective as hot. Try this DIY of making your own cloth terry cloth napkins! Minimize printed documents at meetings. Welcome to Week 14 of the 50 Ways to Reduce Your Waste Line. Last week, we asked you to consider using reusable cloth or scrap rags instead of paper towels. This week, we look at ways to reduce your footprint as the meeting organizer. As presenter or meeting organizer, plan ahead to provide soft copies of notes, leaflets, or slides. Some people will have a natural inclination to print and bring any documents they receive beforehand (agenda, past minutes, reference documents, etc.) so they feel prepared. Expressly inform your meeting participants that printed documents are not required (or desired!) and that you will have electronic copies to display via data projectors in the room. There are also many cloud-based file sharing possibilities (Dropbox, Google Drive, shared drive on the Sheridan network, are just a few options) to let people view documents, as well as edit and/or collaborate on them during or after your meeting. Avoid distributing printed copies of presentations or meeting content (especially slides which, because they are graphic, tend to be very toner-intensive). And when you send them afterwards, make a point to ask your attendees to save them as files and not print them. Perhaps even refer them to the fact sources in this or other 50 Ways tips to support your request. As noted in the September 25th “50 Ways” tip, and the accompanying facts about paper recycling, conservation (remember, the first of the 3 Rs stands for Reduce) always trumps recycling, much in the same way it is better to use less electricity than “green” electricity. Recycling will help you feel less guilty about paper waste, and it does help more than doing nothing. But the better option is to not introduce physical items—in this case paper documents—into the world unless they have a necessary and enduring function. This fact sheet about paper and paper waste should help motivate you! Read all three pages, or take note of just one fact: “Paper and paper products account for more than 1/3 of all Canada’s waste” and ask yourself if you want to be part of that statistic. You have the power to choose not to bring resource-intensive products (paper, chemicals, packaging, etc.) into the world, and to reduce *your* carbon footprint in the process. Log in to Sheridan’s Papercut account via Access Sheridan (under Software Installation in Sheridan Resources) to see the breakdown of resources consumed by your print jobs. Good chance it will be less of a tree, but much more carbon, than you think. Print ONLY when you cannot make do without a paper copy. 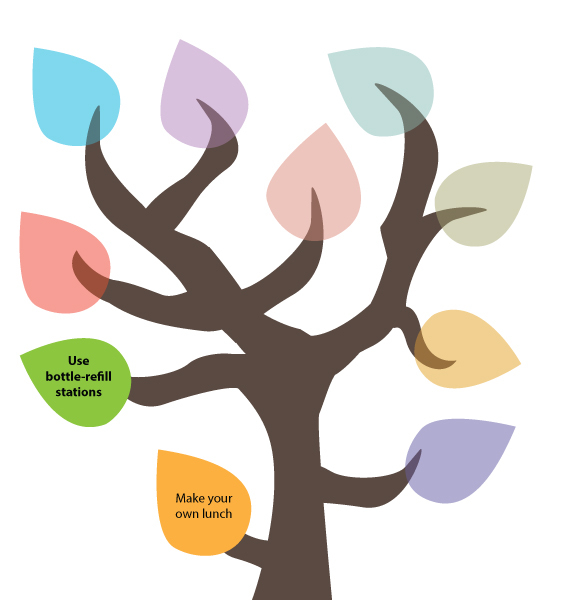 Welcome to Week 15 of the 50 Ways to Reduce Your Waste Line. Last week, we asked you to minimize printed documents at meetings. This week, we invite you to think of more ways to avoid printing documents and use electronic copies whenever possible. When the personal computer was first created, it was intended to bring about the end of manual paperwork. It has turned out that computers facilitate the mass production of various paper-based media at a seemingly endless rate! Newspapers, flyers, brochures, sales literature… not to mention business-related paper documents such as floor plans, annual reports, utility bills, bank statements, claims forms, etc. Despite the best of intentions, it is fairly safe to say that the proliferation of paper-based media is at an all-time high. To help reduce the amount of paper that you “push into the environment” during a typical day, why not take a moment to utilize the various tools and productivity apps at your disposal? Examples include the “Track Changes” or “Insert Comment” features in Microsoft Office applications (instead of printing and physically marking up paper documents) or using MS OneNote to create electronic “sticky notes” as ideas pop into your head. As well, instead of storing your files as paper documents in folders in your office cabinet, a great way to store your files is to take advantage of free cloud-based storage solutions, such as Dropbox, Google Drive, One Drive and College network drives, etc. One main advantage is that the online files are easy to retrieve and you can get access to these storage spaces in different work locations. The use of a projector negates the need for paper documents in most meetings. And if the projector is used with a SMART Board, suggestions for revisions can be electronically recorded. In the absence of a SMART Board, mobile apps such as Adobe Scan can capture whiteboard notes and/or markups, and save them as .pdf documents for later use. Avoid multiple small orders; consolidate you purchases into a single delivery. Welcome to Week 16 of 50 Ways to Reduce Your Waste Line. Last week we talked about printing only when necessary. This week, we ask you to review any orders you may be placing and consolidate as many things as possible into one order. This will reduce the frequency of bringing the delivery vehicles to campus. Transportation is the second largest source of greenhouse gas (GHG) emissions after the oil and gas sector representing 24% of total national emissions in Canada in 2015. By placing multiple small orders into one single delivery, you can help reduce the number of delivery trips required and thus cutting the amount of GHG emissions resulting from the purchase of your goods. If your office orders supplies from Staples and has a holiday party coming up, consider purchasing party supplies from Staples along with any office supplies your department may need. The supply chain and, specifically, transportation industry emits huge amounts of greenhouse gasses. Natural Resources Canada has put together a list of Carrier Emission Results which shows emission amounts for a large range of companies. Turn off your personal computer and monitor at the end of the day to save energy. Welcome to Week 17 of 50 Ways to Reduce Your Waste Line. Last week, we talked about consolidating purchase orders when possible. This week, we ask you to shut down your computer and turn off the monitor at the end of the day if you are not already doing so. It is a good habit to shut down your personal or laptop computer before you leave the office at the end of the day. Not only will this save energy, but also help equipment run cooler and last longer. You can further save energy by setting it to sleep or hibernate when it is not being used for more than 20 minutes. Taking this small step every day can also help save significant money over time. A continuously running computer and monitor consumes electricity at a cost of around $75 to $120 every year. Using the energy saving or power management features can help save up to $30 a year. For other rebates and Ontario programs to reduce your energy costs and fight climate change, visit the Green Ontario Fund site. Save money on gas and reduce your carbon footprint by adopting green driving habits. Welcome to Week 18 of the 50 Ways to Reduce Your Waste Line. Last week, we asked you to turn off your personal computer and monitor at the end of the day to save energy. This week we provide suggestions on how you can save money and the environment by incorporating a few simple to adopt driving habits into your daily commute. Natural Resources Canada has numerous online resources to help you reduce your impact on the environment any time you have to get into your car and drive. When it comes to fuel-efficient driving habits, they have a list of suggestions called the “Fuel-Efficient Five” which can help save you up to 20% at the pump! Numerous other telematics apps exist on the various smartphone app stores… for those that don’t like feeling like “big brother” is watching over them! Report heating and cooling excesses and water wastage to the Facilities Management department. Welcome to Week 19 of the 50 Ways to Reduce Your Waste Line. Last week, we invited you to save money on gas and reduce your carbon footprint by adopting green driving habits. This week we ask you to report heating and cooling excesses and water wastage to Facilities Management. We all have varying, individual preferences of what an acceptable indoor temperature should be. In fact, there are several factors which can impact our preferred air temperatures, including: seasons, climate, clothing, metabolic rate, age and gender. Research has shown that an optimal office temperature is between 21 to 23°C for office worker productivity. However, despite these variables, there are times when there is an overwhelming sense that the work space is too cold or hot. If you and your colleagues find your work space atypically cold or hot, please report this to Facilities Management (see contact info below). This will decrease electricity and natural gas consumption; help save money on utility bills and improve thermal comfort! Water is easily available and accessible in Canada. We simply need to flush or turn on the tap. Compared to other countries, it costs very little to have water delivered to our faucets, however, we use more water per person than most other countries. In 2009, Canadians used an average of 329 litres of water per person, per day, second to the US in the developed world, and more than twice as much as Europeans. Avoid the “bystander effect” and report heat and cold excesses and water wastage to Facilities Management at fmdskdav@sheridancollege.ca or fmdsktra@sheridancollege.ca. You’ll feel better that you’ve played a role in reducing energy consumption, saving money and improving the work environment for yourself and your colleagues! Check out the following Water Leak Calculator which calculates how much waste occurs from drips of water from a leaky fixture in a day, month or year. Click here. Welcome to the 20th weekly installment of 50 Ways to Reduce Your Waste Line! This series cycles through 10 topics, providing successively “deeper shades of green” suggestions as we move through each of five levels. Last week, we were at the topic of Being for Level 2 and we asked you to report any heating and cooling excesses and water wastage to the Facilities Management department. This week, we are returning to the final topic for Level 2. “Knowing” is about ways to use information to reduce your ecological footprint. The first-level suggestion for Knowing (week 10) described what goes in each of the Zero Waste bins. This second-level suggestion encourages you to keep stuff out of the bins altogether by sharing it with your work colleagues to use or repurpose. The basic idea is to look around your office areas with an eye to identifying things that are not being used, either not at all or not fully, and sharing knowledge of these items with your coworkers. If someone else can use an item more fully—or perhaps even for an altogether different purpose than intended—it gets better value for the embedded carbon footprint that was created when that object was made. And it may mean it is being used instead of a new item (and its associated environmental costs like packaging and delivery) being purchased. Embedded carbon footprint (ECF) refers to the “range of greenhouse gas emissions associated with the production of a product”. (Pulled from: http://www.cornwalldevelopmentcompany.co.uk/assets/file/Low%20Carbon/CAC%20Info%20sheets/13.03.28%20CAC%20Info%20sheet%207.pdf) Once the product exists it has an ECF. Using what exists, rather than purchasing anew, helps limit emissions and waste on many levels. To learn more, see this fact sheet. So “Get Creative”, as we say at Sheridan, open your eyes in new ways to use, reuse, and repurpose what is around you your office space. Below are some ideas for how you can repurpose. How can you share knowledge of these un(der)-used objects around the office? You could list them on scrap pieces of paper and put them on a notice board. Even better, you could gather them all in a designated spot, like a table or cupboard, so they can be seen. Or if you have a techy person in your office team, make a spreadsheet or database. It doesn’t really matter how you do it, just that you DO it. Bring your own reusable plates and bowls. Welcome to Week 21 of 50 Ways to Reduce Your Waste Line. Last week, we invited you to consider sharing surplus items in your office. This week, we are returning to the first topic of Eating for Level 3. We encourage you to bring your own reusable plates and bowls when you take out food from the food services outlets on campus. Many food service outlets provide to customers convenient take-away containers made from plastic or polystyrene foam (Styrofoam) which are non-biodegradable. When these waste items are not being collected properly, they end up polluting our lakes, rivers and oceans. As well, it will take at least hundreds of years for these materials to break down. Some food service providers are more conscious about the impact of waste on the environment and they provide take-out containers that are recyclable and even compostable. However, the waste generated will require transportation and processing before they become useful resources again. To address the waste problem caused by disposable take-away containers, we challenge you to say no to the offer of disposable containers at the food outlets and instead bring your own plates and bowls that are made of environmental materials, such as bamboo, silicone, ceramic, porcelain and glass. A great idea to keep food safe and secure is to use reusable plate and bowl covers. Some eco-friendly options include silicone covers and beeswax food wrap, which can be used separately or with your plate and bowl containers. Bring a reusable mug for hot drinks and a bottle for cold drinks. Welcome to Week 22 of 50 Ways to Reduce Your Waste Line. Last week we talked about bringing your own reusable plates and bowls when you take out food from the food services outlets on campus. This week, we ask you to bring your own reusable containers for beverages. Bringing your own container will eliminate potentially 3 items of cup waste (cup, lid and sleeve) for you each day depending on how much you drink! Purchase a reusable beverage container that will last you for years! Glass and stainless steel are great options that are less harmful to produce than plastics (Recycle Bank, 2016& Northrop, 2015)), and you don’t have to worry about chemicals being leached into your drinks including BPA which disrupts the body’s hormone production (Beach, 2017). Use eco-friendly cleaning and personal hygiene products. Welcome to Week 23 of the 50 Ways to Reduce Your Waste Line. Last week, we invited you to bring your own reusable containers for beverages. This week we ask you to use eco-friendly cleaning and personal hygiene products. In Canada, paper towels are readily available and are widely used to maintain cleanliness and hygiene. However, what are the costs to our environment? Paper products, such as paper towels, are relatively inexpensive to purchase, which has led to its overconsumption and an increasingly negative impact to our environment. Fortunately, there is a more eco-friendly and cost-friendly alternative. Reusable hand towels are cost-effective and have lower environmental impact. They are more efficient compared to paper towels and dryers as they take less time to dry hands, face and other parts of the body. They are also portable as they are small and compact, thus can be easily stored in a pocket or purse. They are machine washable so they can be thrown in with your regular weekly wash. Microfiber reusable towels are ideal for ultimate absorption. App it! Don’t trash it! Greenpeace Canada has created a free tool for making forest-friendly tissue product decisions. The Green Tissue Guide mobile application, which features a catalogue of over 150 tissue products like paper towels, toilet paper, tissues and napkins found in Canadian stores across the country. The app can be downloaded from the App Store or Google Play in both English and French. When you need to purchase paper products, use this app to locate the most forest-friendly products. Otherwise, store a hand towel in your pocket or purse and use it to dry your hands instead of paper towels or dryers. Welcome to Week 24 of 50 Ways to Reduce Your Waste Line! Last week we asked you to consider using eco-friendly cleaning and personal hygiene products. This week, we are returning to the topic of meetings. The first two suggestions under the “Meetings” category (Sep 25 & Dec 4) offered ways to reduce your footprint by limiting paper, handouts, and the like. This week, we move to the Stage 3 (or “deeper shade of green”) suggestion for the “Meetings” category: using video- and tele-conferencing instead of travelling for face-to-face meetings. Virtual meetings reduce carbon emissions from travelling between campuses and locations. They also save time and other resources. Virtual meetings may also be more efficient. 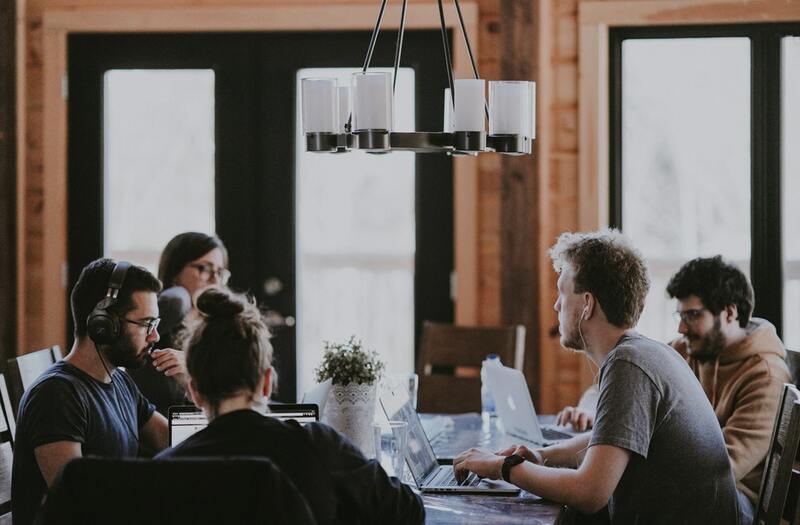 Because people tend to prepare differently for virtual meetings, they are more likely to be able to access electronic files and documents more easily than during an in-person meeting. At Sheridan, virtual meetings can be accessed on your own devices and computer workstations. Sheridan has the capability for both simple telephone conference calls and multifaceted high-definition conferencing complete with live video, slides and electronic document sharing. You may book video conferences through Outlook using the Add WebEx Meeting add-on button on the WebEx menu ribbon. Most of the meeting rooms are equipped with WebEx access. You may also sign out mobile video carts from each campus, which Sheridan’s IT department can deliver and provide tech support for. Mother Nature Network overview on how green conferencing saves resources and money. Welcome to Week 25 of the 50 Ways to Reduce Your Waste Line. Last week, we asked you to consider meeting virtually, instead of physically travelling to inter-campus or off-site meetings. This week we shift our focus back to the “Computing” theme by asking you to reuse any misprinted or misfed office paper by turning it into scratch pad note paper before recycling it. Printing documents can sometimes lead to errors, such as accidentally printing the wrong document or realizing it was formatted incorrectly when you pick it up from the printer. Before placing it into one of Sheridan’s blue recycling bins, reuse that paper as a scratch pad before recycling it. Simply tear, chop or cut your re-used paper into smaller note-sized pieces, then staple or clip them into a scratch pad that you can use whenever needed. Reuse existing supplies in new ways, for new purposes. Welcome to Week 26 of 50 Ways to Reduce Your Waste Line. 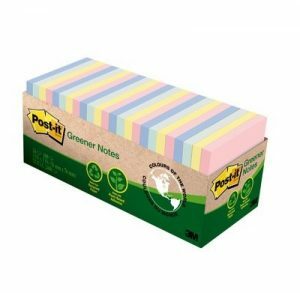 Last week, we talked about reusing misprinted or misfed office paper by turning it into scratch pad note paper before recycling it. 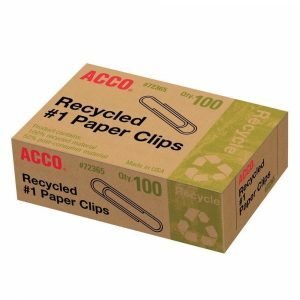 This week, we ask you to get creative and re-purpose office supplies before recycling them. Getting more life out of your office supplies will reduce the amount of waste your office produces as well as the need to manufacture new products which will ultimately reduce pollution and the extraction of natural materials from nature; it helps on both ends of the cycle! Re-use file folders, instead of recycling once they have served their original purpose, by changing out the labels. Non-confidential documents can also be reused for scrap/note paper. You can find various creative ideas to reuse office supplies at this site. For other office reuse tips, please click here! Adopt stair climbing as your daily habit. Welcome to Week 27 of 50 Ways to Reduce Your Waste Line. 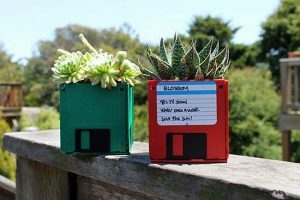 Last week, we asked you to get creative and repurpose office supplies before recycling them. This week, we encourage you to use the stairs instead of taking the elevator. Skip the elevators and take the stairs! Incorporate stair climbing into your daily routine whenever possible. More than 90% of our time is spent indoors, so incorporating stair climbing when going between floors is a great way to fit some exercise into your day. Stair climbing is a more powerful form of walking, as it requires you to pull your body weight against gravity. Health benefits include burning calories, increasing muscle strength, reducing stress, increasing immune system function, and lowering risk for high cholesterol, osteoporosis, diabetes and heart disease. According to StepJockey, climbing eight flights of stairs per day reduces early mortality rate by 33%! If you’re unable to take the stairs due to health reasons (e.g. having a bad knee), try to take a walk when you can. For example, you can create the opportunity to walk more by simply parking your car further away from the building, or getting off the bus one stop before your usual stop. Would you like to challenge yourself by taking up stair climbing as your daily routine? Free smartphone apps such as StepJockey count your steps so you can keep track of the steps climbed and calories burned. More benefits of stair climbing can be found here. TRY walking, cycling or using public transit. Welcome to Week 28 of 50 Ways to Reduce Your Waste Line. Last week, we encouraged you to use the stairs instead of taking the elevator. This week, we ask you to consider walking, cycling or using public transit as a means of transportation. Trying out a new method of commuting can sound pretty daunting, but there are many resources available that offer tips and support. Have real plants in your workspace. Welcome to Week 29 of 50 Ways to Reduce Your Waste Line. Last week, we encouraged you to trying walking, cycling or using public transit as a means of transportation. This week, we encourage you to consider having real plants in your work space. Touch up your office space by keeping plants in your work area. Not only does this make the office more attractive, but it is known to have many psychological benefits as well. Recent studies have discovered that when a workplace is introduced to plants: 58% of workers’ depression drops; 37% of workers report less anxiety; there is a 38% drop in symptoms of fatigue and a 44% decrease in their anger. Plants also provide great environmental benefits that ultimately promote positive workspaces. In fact, they help clean the air around us by reducing CO2 levels by 10 to 25% according to a study from the University of Technology, Sydney. Another environmental factor that plants help with is lowering noise levels. Plants absorb noise pollution which can make it easier to concentrate. Speaking of focusing, plants in the workplace have also been known to boost creativity by as much as 15% (via the 2015 Human Spaces report). Succulents, such as cacti, are great plants to keep in an office environment. They are affordable and small enough to fit in any space. Did you know that different groups of succulents have been known to give off diverse health benefits? It is week 30 of this series and 50 Ways to Reduce Your Waste Line completes its third tier (of five) of gradually deeper green suggestions on each of ten topics. Last week’s topic, “Being,” asked you to consider keeping real plants in your work area. This week’s topic, “Knowing,” challenges you to extend your understanding of the Zero Waste Bins beyond just yourself to help educate and correct others in their use. In particular, food waste is a big problem. More than half of the food waste is incorrectly put into the landfill bins. The exact numbers, and more detailed analysis, are available in our Waste Audits. These numbers are of particular importance because when there is too much content contamination in the waste collected that are intended for organic or mixed recycling processing, the whole lot ends up in landfill. YOU are the key to making an immediate change in these numbers—through your own sorting and, even more impactfully, through intervening to help others use them properly. All you need to do is encourage others to take a moment to study and follow the signs at the bins to sort waste. As well, one of the biggest offenders is coffee cups and lids. So why not start there: cups in Organics; lids and sleeves in Recycling. Whenever you see someone at the Zero Waste bins, gently and courteously assist them to sort properly… most will tell you “Thank You!” and that they just weren’t aware of what the correct bins were. Share your knowledge – don’t keep it to yourself. Would you like to be a Zero Waste bin expert? Use this interactive web page, What Goes Where?, to quickly check what materials go in which bin. If want to take it a step further, maybe even “adopt” a Zero Waste bin near you. Keep a watch on its use. Perhaps even supplement the signage with samples/examples to help people sort effectively and quickly. To learn more about how well Canadians are recycling their waste and the resulting costs of waste contamination, please read this latest CBC news article. Make your own lunches and snacks. Welcome to Week 31 of 50 Ways to Reduce Your Waste Line. Last week, we challenged you to extend your understanding of the Zero Waste Bins beyond just yourself to help educate and correct others in their use. This week, we encourage you to make your own lunches and snacks. Skip the lunch line, and bring your own. Did you know that buying lunch every day can cost you up to $2500 a year? That’s almost $50 per week just on lunch! Bringing your own lunch can save you half of that amount, equalling out to about $6.30 per meal, compared up to $11 when going out. Fast food has a high price tag, with pizza and a drink costing over $5 and the average burger costing around $8. However, making a sandwich to go can cost as little as $2! Not only that, but bringing your own lunch and snacks has seen significant health benefits. Packing your food can increase portion control, which can help with calorie intake and weight loss/gain. Homemade meals also tend to be less processed, and have less fat, sodium and added sugars. In addition, these meals allow you to add healthier substitutions, more natural ingredients and vegetables into your diet to ensure optimum health. Surprisingly, making a lunch can be good for your mental health as well. Saving time by no longer waiting in lunch lines or traffic can significantly reduce stress. A fun idea is to trade off “make it” days with a colleague. Take turns making lunches with friends for an interesting meal every time. For more healthy meal tips, click here. Looking for lunch ideas other than sandwiches? Click here. Use bottle re-fill stations or tap water rather than bought or delivered water. Welcome to Week 32 of 50 Ways to Reduce Your Waste Line. Last week, we talked about making your own lunches and snacks. This week, we ask you to use bottle-refill stations rather than purchasing “disposable” or delivered water. If there is not a station near where you are, feel free to use the tap water nearby. The drinking water systems in Ontario (and North America) have high safety standards for public health. Our local municipalities perform regular tests on our drinking water to assure high water quality. The bottle-refill stations further filter the drinking water on campus and provide it at a cold temperature. Many of us are aware of the negative effects that disposable bottles have on the environment, but did you know that they can be bad for our health as well? A recent report conducted by the State University of New York found that many major bottled water brands contain tiny plastic particles inside their water. Using a reusable water bottle is a great way to avoid this. Carry around your own water bottle so that you can re-fill your bottle when it gets empty; we have awesome filling stations around each campus to make this nice and easy. It is free! Consider having a bottle that you keep at Sheridan or in your “go-bag” so that you are never without! Click here to learn more about Sheridan’s bottle refill stations and the environmental impacts of plastic bottles. The graph below shows a comparison of the environmental impacts of tap water – almost zero – compared to bottled water – maxed out – which is quite a drastic difference. Read the full report from the Swiss Gas and Water Association here! Use eco-friendly cleaning and personal hygiene products to avoid harsh chemicals. Welcome to Week 33 of the 50 Ways to Reduce Your Waste Line. Last week, we invited you to access bottle-refill stations rather than purchasing “disposable” or delivered water. This week we encourage you to use eco-friendly cleaning and personal hygiene products to avoid harsh chemicals. There are several benefits to using eco-friendly cleaning products. The most common advantage is they are safer for the atmosphere. Harsh chemicals commonly found in cleaning products, such as chlorine bleach, can affect indoor air quality. Lower toxicity contents in eco-friendly products are less harmful to our food, skin, air and surfaces so we can use these products without any worry about unwelcomed reactions. Eco-friendly products help reduce pollution since they have fewer smog-causing chemicals and are packaged in biodegradable materials. Lastly, these products often save us money. 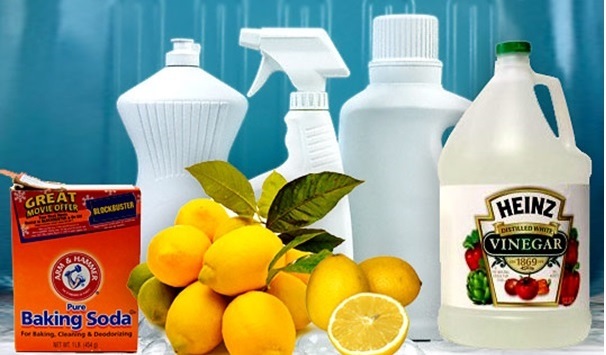 There are several eco-friendly cleaning products which can be made at home, such as lemon juice, baking soda, vinegar, or olive oil and they are less expensive than purchased cleaning products. Try one of these own homemade cleanser remedies. Sprinkle baking soda over a surface which needs to be cleaned, i.e. your bathtub or kitchen counters. Drizzle a fresh lemon over the baking soda and let it sit for 5-10 minutes. Then spray the surface with water and wipe the area with a cloth. Be careful not to get any lemon juice on any fabrics nearby, as it may stain. White vinegar can be used on several different surfaces, including glass, floors, walls and even clothes! Use vinegar to break up deposits on your shower head to improve water pressure. Remove the shower head and soak it in vinegar. You may add a few drops of an essential oil to your vinegar cleansers to improve the smell. To prevent streaks and tarnish on stainless steel and brass cookware rub a bit of olive oil with a cloth on the dishes. You can also use olive oil to clean garden tools or help prevent wicker furniture from cracking by rubbing it directly onto the surfaces. Herbs and spices can be used to clean and freshen the home. To get rid of gross food smells in the oven, sprinkle cinnamon and nutmeg on an old baking dish, then squeeze some fresh citrus juice (preferably orange) over the spices. Let the dish sit in the oven as it cools. You can make a homemade herbal disinfectant which works on most surfaces. Select a handful of fresh herbs, such as lavender, eucalyptus, juniper, sage, basil, thyme, or rosemary (or mix and match as you please) and place them in a pot. Cover with 3 cups of water and simmer for 30 minutes. Strain the herbs, pour the liquid into a labeled spray bottle and use to sanitize various areas in the home. Limit disposable and single-use items in refreshment orders, or bring your own food and drinks to meetings. It is week 34 of this series and 50 Ways to Reduce Your Waste Line is now in its fourth (of five) tier of progressively deeper green suggestions on each of ten topics. Last week, we asked you to consider using eco-friendly cleaning and personal hygiene products and avoiding harsh chemicals. This week we challenge you to limit disposable and single-use items in refreshment orders, or bring-your-own food and drink to meetings. What Can You Do to Reduce Your Waste Line? First, determine what you and your meeting attendees can bring yourselves. Easy options include coffee mugs and glasses/cups for cold drinks. Cloth napkins that can be taken home and washed don’t require much work and add a nicer feel than paper. With a bit of coordination, even plates/bowls and cutlery are no big deal when a few people chip in to help. Next, have a discussion with your food service provider/caterer about what to include and NOT include in your order. Bottled water, regardless of size, should be struck off the list right from the start. Ask for jugs of ice water, or we have filtered water fountains and bottle-refilling stations all over each campus. If things like individual coffee creamers, sugar packets, jams, etc, cannot be provided in larger sizes then consider supplying them yourself, excluding them from the order, and keeping the remainder in the office for the next meeting. 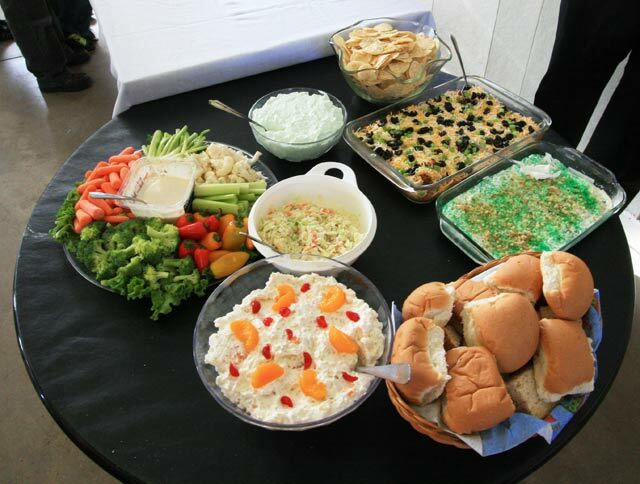 For anything else on the list above you cannot do without, get a clear understanding of whether your caterer will use leftover unused items; if not, lower the quantity and be sure to take them with you at the end of the meeting to find a future (re) use for them. Pot-lucks, or variations thereof, are also a great way to reduce waste at meetings. And they provide wonderful variety from the standard fare. For whatever waste is unavoidable, make the last item on your meeting agenda (seriously!) a trip out into the hall to the nearest Zero Waste bin and designate someone knowledgeable to guide people in properly sorting what must be discarded. Additional guidance is available at What Goes Where? Set your computer to sleep mode and turn the monitor off when you are away from your desk. Welcome to Week 35 of the 50 Ways to Reduce Your Waste Line. Last week, we asked you to limit disposable and single-use items in refreshment orders, or to try bringing your own food and drinks to meetings. This week, we ask you to turn off your desktop electronics every time you leave your desk for an extended period of time. The easiest way to turn off all of your desktop electronics before heading to a meeting, leaving for the day, or packing up to enjoy a beautiful summer weekend, is to plug all of your desktop electronics into a desktop mounted power bar. That way, before you leave, all you have to do is remember to flick the toggle switch on the power bar, and you’ll receive instant energy savings! Items that you CAN plug into your power bar include your monitor, cell phone/tablet chargers, desktop printers/scanners, etc. It is important that you DO NOT plug desktop computers into your power bar, as the sudden loss of power can corrupt your files and possibly damage your computer. To save energy when leaving your computer for an extended period of time, simply choose the “Sleep,” “Hibernate” or “Shut down” options from the Start button for Windows-based operating systems, or if you are running a Mac, you can select “Sleep” or “Shut Down” from the main menu. Alternatively, you can change your computer’s power options to have your computer put to sleep automatically after a set amount of time. Have you ever heard of phantom power? It is the term that electrical utilities use to refer to loads that are drawing power while in standby mode. Examples include such things as microwave clocks, phone chargers that are left plugged in (which still draw current, believe it or not), and computers. The 50 Ways to Reduce Your Waste Line is an initiative created and supported by the various Sheridan Campus Green Teams. Welcome to Week 36 of 50 Ways to Reduce Your Waste Line. Last week, we talked about powering down your computer when you are away. This week, we ask you to order products that will produce less waste. We should avoid getting products that come with un-necessary packaging, such as plastic wrapping film. Products made of mixed materials make them non-recyclable and destined for landfills. 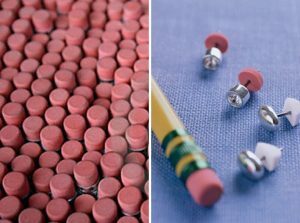 When you order classroom or office supplies, think about choosing items that are made from recycled materials, are recyclable, or have reduced packaging. Look for items that are packaged in paper instead of plastic. If you are ordering printer toner, make sure you choose cartridges that are recyclable; many companies will take the used cartridges back – check with Facility Services at your campus for the procedure. An exciting article was published recently by CBC discussing how Canada will use its presidency of the G7 to try to persuade the world’s richest and most industrialized countries to adopt ambitious goals for plastics recycling and waste reduction. In summer, lower shades on windows facing the morning sun to reduce solar heat gain. Welcome to Week 37 of 50 Ways to Reduce Your Waste Line. Last week, we talked about trying to use products that come with less packaging. This week, we ask you to lower any shades in your east-facing office before you leave at night to reduce solar heat gain the next morning. While having natural daylight in our workspaces is aesthetically appealing, it comes with a negative effect on our buildings’ cooling systems during the summer months. The room temperature of the areas near the windows rises as the sunlight comes through the windows. And during the summer time, the temperature may rise above a comfortable level. 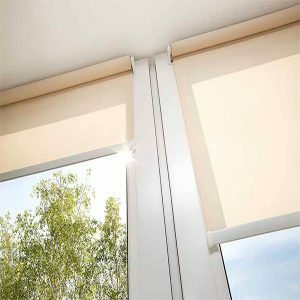 By simply lowering shades in a typically sunny east-facing office before you leave each day, you can help reduce early-morning heat gain in your office from the morning sun. This helps to keep the room temperature comfortable in your office throughout the day, while also reducing the strain on the College’s HVAC systems. This phenomenon is the same as that experienced in commercial greenhouses. While the resulting convective heating is desirable in greenhouses, it is not at all desirable in building office spaces during the dog days of summer. It was the understanding of this process that gave rise to the term “greenhouse effect,” which relates to the accumulation of heat-trapping greenhouse gases (GHG) in the atmosphere emitted from human activities, which have been increasing substantially since the Industrial Revolution (1800). The GHG, including carbon dioxide and methane, exist naturally in the atmosphere. But the drastic increase of human activities has significantly increased the atmospheric concentrations of the GHG and this results in climate change. Other ways to reduce solar heat gain in buildings include planting shade trees, installing curtains (of the non-sheer variety), installing fixed and/or mechanical louvres on the exterior of the windows, along with the application of window film or other aftermarket window treatments. The 50 Ways to Reduce Your Waste Line is an initiative created by the Green Teams and led by the Office for Sustainability. Carpool, even if only some days; it still makes a big difference. Consider joining a carpool group or starting one yourself. Welcome to week 38 of 50 Ways to Reduce Your Waste Line. Last week, we asked you to lower any shades in your east-facing office before you leave at night to reduce solar heat gain the next morning. This week, we encourage you to consider carpooling as an alternative way to commute to campus. 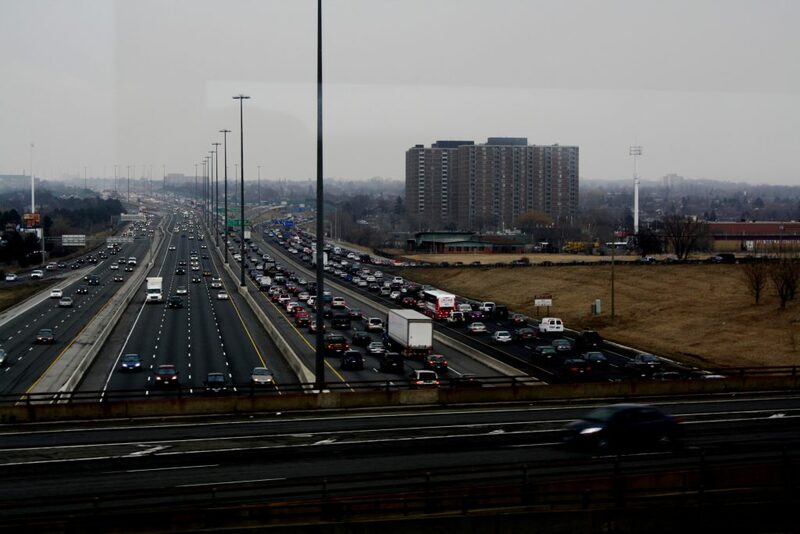 Did you know that the Greater Toronto Area has the biggest and most congested highways in the world? A CAA study called Grinding to a Halt, Evaluating Canada’s Worst Bottlenecks. (2017) found that the stretch of highway 401 that cuts across the north part of the city of Toronto costs commuters over three million hours of annual delays and increases commute times by as much as 50%. Being stuck in traffic is often a stressful experience as it wastes your time, your gas, and it contributes to greenhouse gas (GHG) pollution. Carpooling would reduce the amount of cars on the major highways, and in turn, make your commute a better experience. Carpooling reduces pollution. 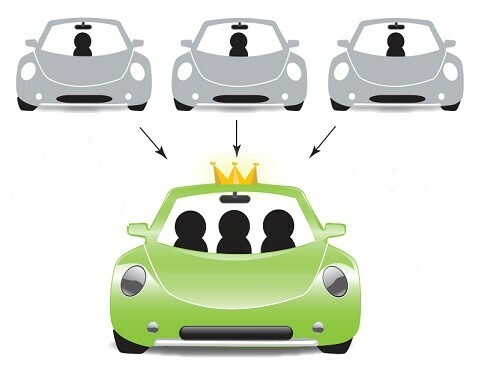 If you carpooled with other people instead of driving alone, you will help reduce the greenhouse gas emissions. You save money. Gas prices are very high in Ontario averaging around $1.37/litre in recent weeks. 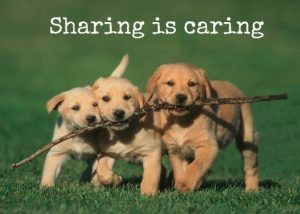 Carpooling can reduce your cost on gas and vehicle maintenance since you’re sharing it with your carpool partners. A faster commute. Carpoolers can take advantage of high-occupancy vehicle (HOV) lanes, letting you bypass traffic. And you get to park in dedicated carpool parking spots. Social element. Get to know people you live near or work with. The Smart Commute Tool will help you find other commuters in your area to partner up with. As well as a cost and emissions calculator to monitor your organization’s cost and GHG emission savings. Sheridan also offers parking spots reserved for cars with carpooling permits at Davis and Trafalgar. These spots are located near main entrances of campus buildings. For more information visit: parking.sheridancollege.ca. Use clothing to feel warmer, not a supplemental heater. Welcome to week 39 of 50 Ways to Reduce Your Waste Line. Last week, we encouraged you to consider carpooling as alternative way to commute to campus. This week, we ask you to use clothing to keep warm, instead of a supplemental heater. Everyone has varying preferences of what an acceptable room temperature should be, and at times a space can feel too cold for you, but feel perfect for someone else. If you’re in a space that feels too cool, it may be easier to put on more layers of clothing to warm up, changing your body temperature, than trying to make the entire room warm. This is more considerate of others as well, keeping in mind their needs and preferences. An easy and sustainable fix to a cool room is bringing a sweater along with you or wearing layers that can be added or taken off based on your needs. Wear multiple layers of clothing rather than one or two thick layers. Multiple thin layers of clothing act as a better thermal insulator because heat leaving your skin warms a thin layer of air around you. If you wear more layers, the warm air from your body gets trapped between the layers, keeping you warm instead of drifting away from you. If it’s cold, be sure to wear clothing head to toe. You lose heat at any uninsulated part of your body, so it’s important to stay covered when it’s cold. Your neck, head, ears and hands are susceptible to the cold because blood vessels run close to the surface resulting in a quicker loss of heat in these areas. An easy solution is to put on a scarf, a hat, socks and gloves when you’re outside. Fabrics like wool and fleece are great at keeping you warm because the material is lightweight and textured, so the warm air stays trapped in the fibres. If you anticipate being in a room that is usually cooler, dressing in layers and bringing an extra sweater is always a good idea. When you put on extra layers of clothing, you are helping yourself, but thinking of others in the process. Turning on a space heater, or turning up the thermostat, uses energy that could be saved. Putting on more layers is more sustainable for the environment, and helps keep the room more comfortable for everyone. If you find your workspace uncomfortably cold or hot, please report to Facilities Management at fmdskdav@sheridancollege.ca or fmdskta@sheridancollege.ca. Reporting to Facilities helps reduce energy consumption, saves money and improves the work environment for yourself and your colleagues. With this week’s double-header 50 Ways to Reduce Your Waste Line, we complete the fourth (of five) tiers of progressively deeper green suggestions on each of ten topics. Under the topic of “knowing”, this time it is a different type of action suggestion: watch the mini-documentary The Story of Stuff. Originally released in December 2007, it is a 20-minute, fast-paced, fact-filled look at the underside of our production and consumption patterns. The Story of Stuff exposes the connections between a huge number of environmental and social issues, and calls us together to create a more sustainable and just world. It’ll teach you something, it’ll make you laugh, and it just may change the way you look at all the Stuff in your life forever. In the past three decades (yup, just 30 years) a full one-third of the planet’s natural resources base have been consumed. On average, each person makes 4½ pounds of garbage a day*, which is twice what we each made thirty years ago. We each see more advertisements in one year than a people 50 years ago saw in a lifetime. Revenues of the rental storage industry (i.e., self-storage units) exceeds that of the motion picture industry*. *U.S. data, but no reason to believe it would be significantly different in Canada. 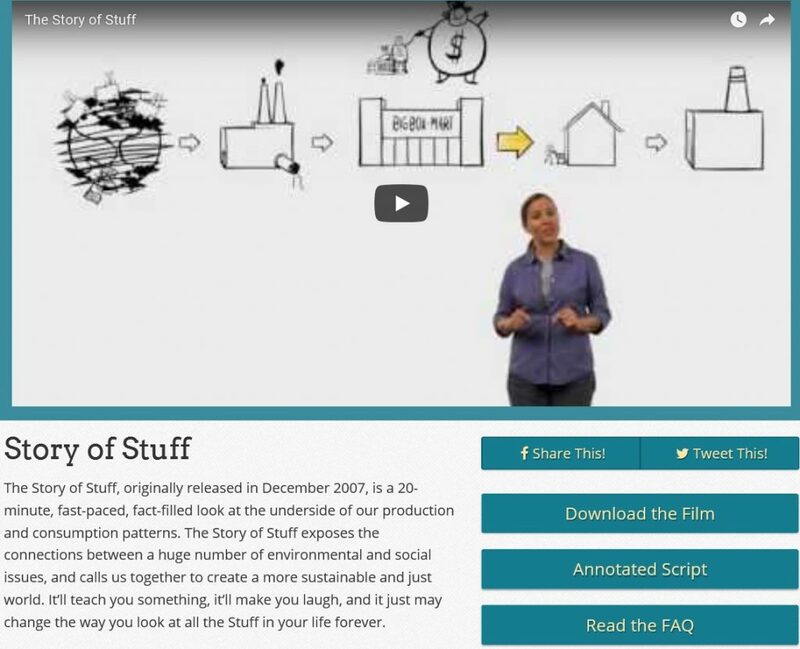 The Story of Stuff Project’s journey began with a 20-minute online movie about the way we make, use and throw away all the items and products in our lives. Five years and 40 million views later, the movie has evolved into a movement. If you feel strongly about what you learn, share it with others whether individually or in groups at meetings and meet-ups. It is sure to stimulate discussion—and hopefully some action too! Take your food scraps to compost at home – turns waste to food! Welcome to Week 41 of 50 Ways to Reduce Your Waste Line. Each week over the next 10 weeks, we’ll take on the highest level of green action in each category. This week, we encourage you to take home your food scraps to compost yourself. When you need to throw out an apple core, banana skin, or the coffee grounds from the kitchenette of your office, rather than placing these organic waste items in the Green bin of the Zero Waste station at your office, you can turn them into useful compost to feed your growing veggies at home! 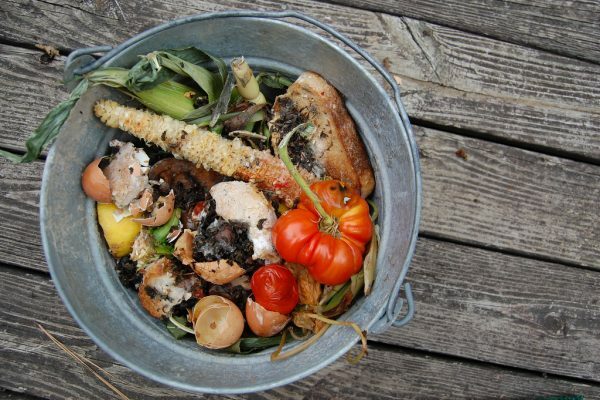 If composting is new to you, below is a brief introduction to help you get started. Compost is a natural soil builder. It improves the soil of your garden. You can apply it as a natural fertilizer and mulch. It can also be added to potting soil to start seeds indoors. Some common misconceptions about compost are that it brings a funny smell and it is messy. You can avoid these problems by providing the right materials (green and brown) and maintaining a suitable temperature. The compostable materials include fruit scraps, vegetable scraps, coffee grounds, egg shells, grass and plant clippings, dry leaves, finely chopped wood and bark chips, shredded newspaper, straw, sawdust from untreated wood. You will need to get a compost bin to collect the compostable materials as listed above. You can either buy one or make your own indoor or outdoor homemade compost bin. To create a compost bin in your backyard, you can look at Evergreen’s Backyard Composting Guide and follow the simple 10 steps in the Guide. It also provides some common questions and answers. The food waste collected in our campus Green bins is being delivered to a power plant in Ontario where the material is processed through anaerobic digestion. Through this process, the material is converted to electricity and put into the grid. Fertilizers are also produced. To learn more about what else goes to Sheridan’s Green bin and other bins, please visit the Mission Zero website. Make your own tea & coffee and avoid disposable pods. Welcome to Week 32 of 50 Ways to Reduce Your Waste Line. Last week, we talked about turning your food scraps into compost. This week, we ask you to make your own hot drinks instead of purchasing disposable pods. 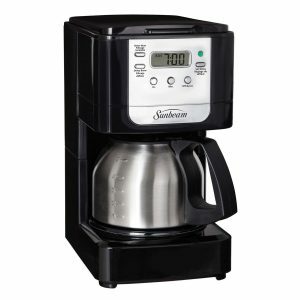 If you have a coffee maker at home that has a timer on it, you can prepare your pot before going to bed and have fresh coffee waiting for you in the morning. 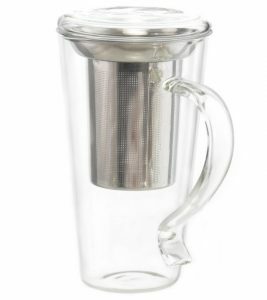 You can also purchase travel mugs with tea strainers built in if you like loose-leaf tea. Additionally, there are a lot of great options in stores for organic and fair trade tea and coffee; just check the labels or look in your natural food section. We know K-cups bring convenience but they also cause big waste problems as the single-use pods are not recyclable. You can watch this video to learn about its harmful impact to the environment. If you really can’t avoid pods, look for options that are 100% biodegradable/compostable. Take home any waste you are unsure about discarding at work. Welcome to Week 43 of 50 Ways to Reduce Your Waste Line. Last week, we encouraged you to make your own hot drinks instead of purchasing disposable pods. This week, we challenge you to take home waste for proper recycling, if you are unsure of the recycling options at work. At home, you have the opportunity to reuse, recycle and compost various materials. Outside of your homes, you may create waste and be unsure of where to correctly dispose of it. Let’s take a look at how waste is created when at work and in the community. One step is to be proactive and plan ahead. If drinking coffee or tea is part of your morning routine, bring a reusable flask or mug with you to work. If you like to sip water throughout the day, carry a reusable water bottle with you. You can also decrease waste consumption on the road by declining extra or unnecessary items, such as straws or serviettes. By bringing your own reusable forks, knives or hand towels, you can avoid the use of disposable items on the road. For the waste that is collected through the day, you can bring it home with you. For example, the yoghurt cups can be washed before putting them into the recycling bin. Soiled napkins and food waste can be put into the compost bin. Any clean napkins and leftovers can be kept. As well, plastic cups and paper plates can be recycled and any takeout bags can be reused. Take a food container with you when you leave home. This will allow you to bring home any leftover food to be eaten later on and collect any food waste to be composted. 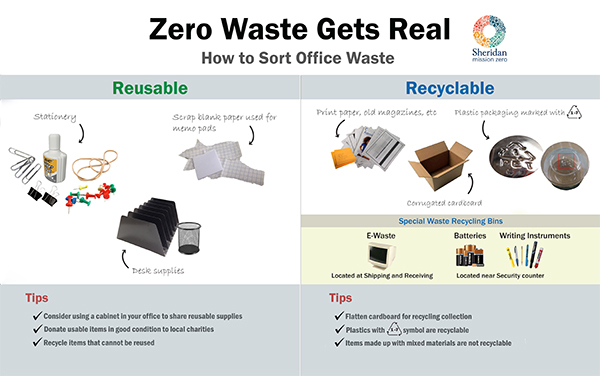 To learn about how to sort waste at Sheridan, please visit the Mission Zero website here. For more tips to reduce waste outside your home, you can visit the website here. Carpool or use the inter-campus shuttle to get to meetings. Welcome to Week 44 of 50 Ways to Reduce Your Waste Line. Last week, we encouraged you to take home any waste or recycling you are unsure about discarding at work. This week, as we look at ways to reduce waste and decrease the carbon footprint when it comes to meetings, we challenge you and your colleagues to carpool or even use the inter-campus shuttle. At the base level, carpooling to meetings at another campus or location makes an immediate impact by reducing carbon emissions: one car with two people instead of two cars each carrying one person instantly halves the gasoline consumed; put four people in one car and you are now consuming only one-quarter of this non-renewable resource, not to mention all of its constituent emissions and by-products of production. But, at a deeper level, the environmental effects go much further than that. Think about wear-and-tear on a vehicle—fluids, filters, tires and so on—with every accumulated kilometre. All those consumables have also been reduced thanks to carpooling. Think about one, or two or three fewer cars on the road and how in some small way that affects traffic flow and wear-and-tear on the roads, and less heat added to the air. These are all little things, but they are tangible things, and they all add up. Here are 5 facts about how car-pooling saves more than just gas. Or if scientific methodology and detailed analysis are what it will take to convince you, this article on the Environmental Effects of Carpooling may be enough to move you to action. Carpooling Bonuses: Did you notice, in the first link, that you can use the HOV lane when carpooling? Plus, with someone to chat with, the trip will probably feel a lot quicker. Oh, and if by chance you haven’t fully prepared for that meeting you are driving to, carpooling is a great opportunity to chat interactively with your colleagues ahead of time. Make it a fun outing: stop for coffee on the way… but walk-in instead of going to the drive-thru, and don’t forget your reusable mugs! Avoid battery-powered keyboards, mice and accessories unless they are truly necessary. Welcome to Week 45 of 50 Ways to Reduce Your Waste Line. Last week, we encouraged you to carpool or use the inter-campus shuttle to get to meetings. This week, we ask you to consider avoiding the use of battery-powered computer accessories, such as a wireless mouse or keyboard, to reduce the number of batteries being used, and possibly ending up in a landfill. Unless it is absolutely necessary, you should try to avoid using wireless computer accessories, as these require the use of batteries to function. If disposed of incorrectly, batteries can end up in local landfills, causing their toxic contents (acid, zinc, cobalt, lead, mercury, etc.) to eventually leak into the environment, polluting local tributaries and groundwater sources. This ultimately leads to them contaminating our drinking water, contributing to a variety of negative health effects in wildlife and humans alike. While batteries may be small individually, when you consider that Canadians consume an average of 550 million alkaline batteries per year, it is fair to say that they can have a significant impact on the environment if not disposed of responsibly. Sheridan College has an agreement with Raw Materials Company (RMC) to provide battery recycling bins and services on campus. If you missed it, take a look at the July 9th post A New Home for the Battery Recycling Bins to find these bins at each campus! Share supplies and equipment whenever possible; consider how often it will be used. Welcome to Week 46 of 50 Ways to Reduce Your Waste Line. Last week we talked about avoiding battery-powered keyboards, mice, and accessories unless truly necessary. This week, we ask you to consider sharing office supplies. Maintain a central location in your office where supplies are stored and take only what you need, as needed. This will prevent your office from ordering supplies unnecessarily and help keep accurate inventory. Having a central supplies location can also help build community in your office as you are more likely to “bump into” your colleagues and have an opportunity to chat! Save energy and clear out unused items before leaving for vacation. Welcome to Week 47 of the 50 Ways to Reduce Your Waste Line. Last week, we asked you to share supplies and equipment whenever possible. This week we will provide you with some tips towards saving energy and clearing out some unused items prior to leaving for vacation. You know the scenario… with less than a month left in the summer semester, you find yourself scrambling to get everything done before leaving for summer vacation, so that there isn’t a pile of work waiting for you when you get back. Sound familiar? If so, why not take a few moments to help declutter your workspace (and your mind!) before you leave, and help set yourself up for a productive return-to-work, post vacation! Old electronics you have been meaning to fix or get rid of? Make sure to shred any confidential files! And while you are at it, why not reduce your offices energy profile before you leave! The above quote is often misrepresented as first being said by Albert Einstein, with many memes dotted across the Internet seemingly attesting to this fact. But did you know that it was actually first written by Laurence J. Peter in his book, The Peter Principle? Opt for more sustainable transportation when possible. Welcome to Week 48 of 50 Ways to Reduce Your Waste Line. 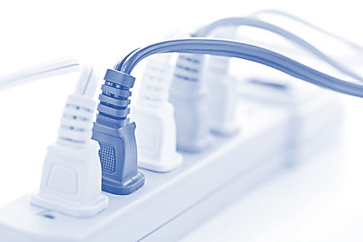 Last week, we encouraged you to save energy by unplugging equipment when not in use. 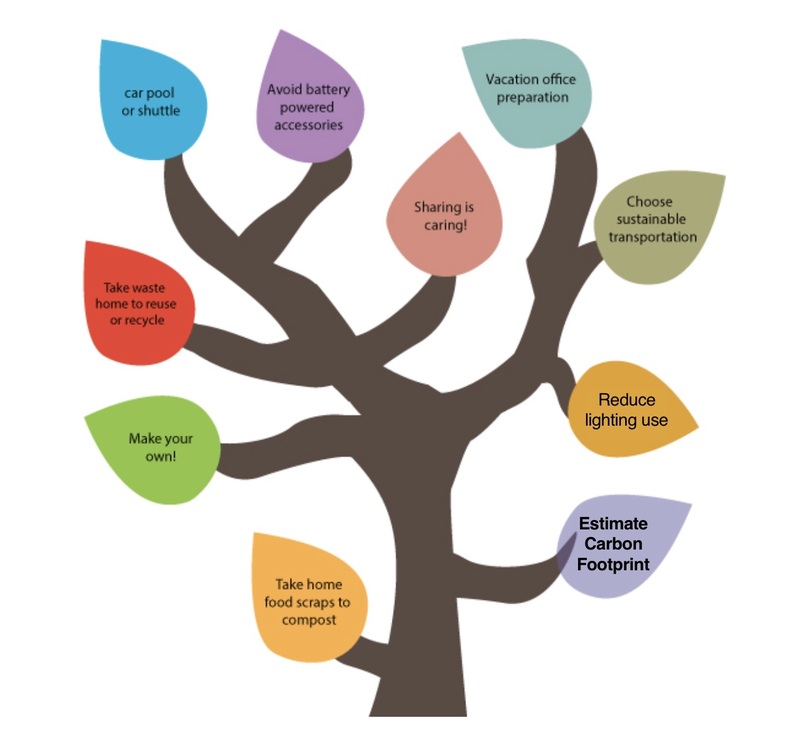 This week, we want to provide tips to reduce your carbon footprint when it comes to commuting, we challenge you and your colleagues to walk, bike, or use public transit. Everyone has to commute to get to one location to another and taking a car to drive everywhere has a large footprint on our planet. In order to reduce your carbon emissions, we can look at different options for commuting such as walking, riding a bike, or taking public transit. 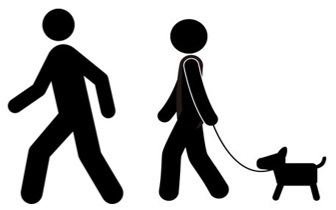 Walking has many benefits to your body, such as refreshing your mind, boosting your immune system, relieving stress and tension, improve digestion, work your muscles, and the list goes on! If you have any errands nearby, you could try walking there. Call up a buddy to walk with you and enjoy a nice conversation. This is a fast and efficient way to get around. Haven’t been riding for awhile? Start by going on a leisurely ride with friends or family around the neighbourhood. Bike maps are a great tool to use when route planning. Bike maps can be found at your local community centre or library. You can also check out online resources, they will vary depending on the region you live in. 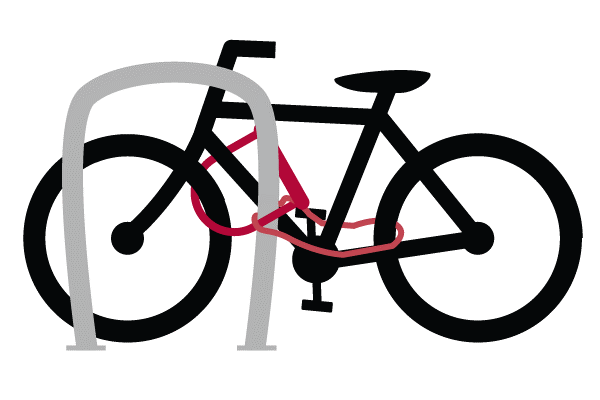 Check the post below for the Mississauga, Brampton, and Oakville bike maps. Riding to campus is a great way to commute and to fit in some exercise. Live too far to commute the whole way by bike? Many modes of public transportation offer ways to bring your bike with you! Worried about being smelly for work? Don’t sweat it, there are shower facilities on campus. Trafalgar: Athletic Centre if you have membership; or B-Wing basement by Parking services located in the men’s/women’s washrooms. Public transit can be looked at like a big carpooling service, instead of 60 or 1,944 cars on the road all those people can fit onto ONE bus or train respectively. This is an alternative to reduce your carbon emissions along with reducing the amount of traffic on the roads. Some other benefits from commuting by transit is that you have free hands to: enjoy time to yourself, read a book, listen to a podcast, take a nap, talk to someone, knit….be creative! Learn how to reduce excess lighting and utilize natural light in building design whenever possible. Welcome to Week 49 of 50 Ways to Reduce Your Waste Line. Last week, you were encouraged to walk, cycle or use public transit regularly. 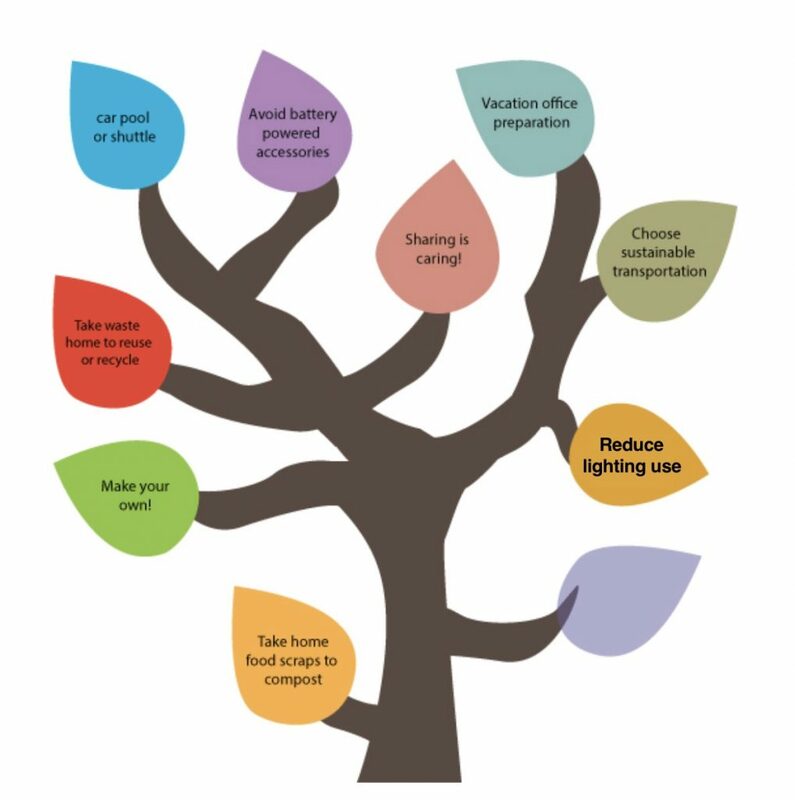 This week, we encourage you to reduce lights, disable bulbs which are not needed or in use and maximize natural light. We can reduce lighting by reducing bulb wattage for overly lit rooms and choosing appropriate bulb wattage to suit the purpose and atmosphere of the room. Installing dimmers is another way to reduce light usage and increase the life of low-voltage lighting, i.e. halogen lights. When purchasing bulbs, check to see they are compatible with dimmers. We can also replace outdoor manual lamps with motion-censored lighting. Motion-sensitive switches are a cost-effective and environmentally friendly solution to accessing our porches and walkways after dark. The best source of light is the sun and we can make the most of daylight hours by opening up our blinds, ensuring our windowsills are void of clutter and if renovating, adding in skylights and as many south-facing windows in the house as possible. Outside we can trim any hedges and trees blocking windows and we can (re)move any furniture that may be blocking windows from inside. An easy step to implement is to replace conventional high-energy, incandescent bulbs with efficient Compact Florescent Light (CFLs) and Light-Emitting Diode (LED) bulbs. We can remember to turn off lights when leaving rooms or offices for long periods of time. This will extend the life of the bulb and reduce our monthly bill and the power company’s carbon emissions. Find more information, please click here. 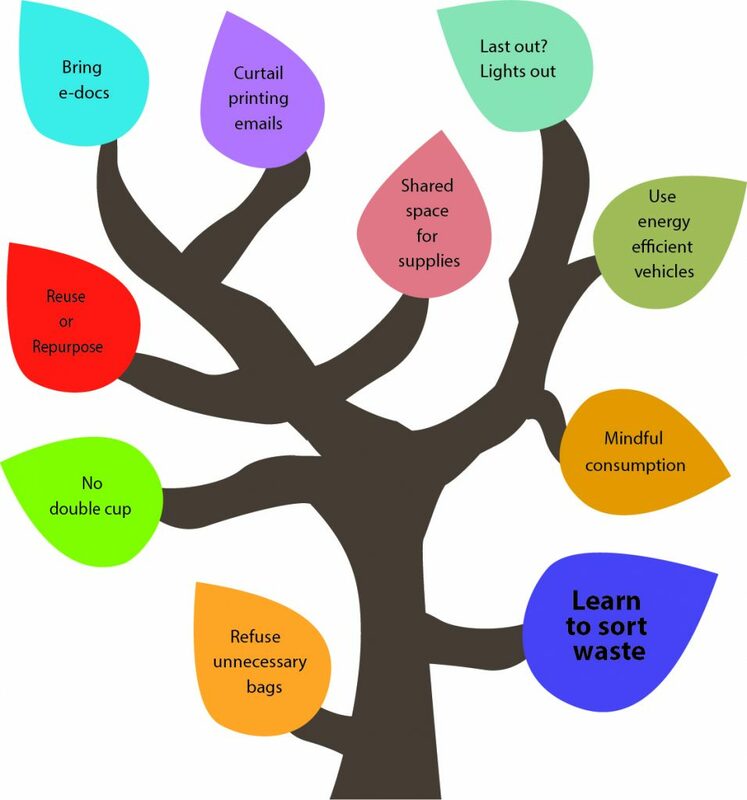 This is the final installment of 50 Ways to Reduce Your Waste Line, which has been the Green Team’s contribution to Sheridan’s 50thanniversary celebrations, and we will depart slightly from the format you have come to know in the previous 49 installments. Our final proposal is that you become aware of your carbon footprint which, according to The Guardian, “is an estimate of the climate change impact of activity – such as making a product, living a lifestyle or running a company”. It’s not just about CO2, but all greenhouse gases attributable to how you live. There are several carbon footprint estimators to be foundbut one of the more comprehensive ones can be found at footprintnetwork.org/resources/footprint-calculator/, which calculates your personal overshoot day and how many Earths it takes to sustain your lifestyle. One of the best encouragements to start saving money is knowing how much you are spending, and on what. Similarly, we encourage you to take this kind of approach towards being responsible for your place and space on this planet. The Green Team is an initiative of the Office for Sustainability. Sheridan employees who care about the environment come together for an hour monthly at each campus in Green Team meetings to discuss sustainability at Sheridan and toss around ideas to promote it and reduce waste. Five of us from the Green Teams across the three campuses have been behind writing these 50 Ways over the past year. We thank you for your attention and concern! p.s. from Neil: It is meaningful to find myself tasked with writing this final 50 Ways installment because after retiring at the end of this week I will be taking up full-time residence in my rural off-grid home, powered by solar energy, and being guardian to 50 acres of woodland habitat which surround it. Keep it green (and double-blue and orange) Sheridan!